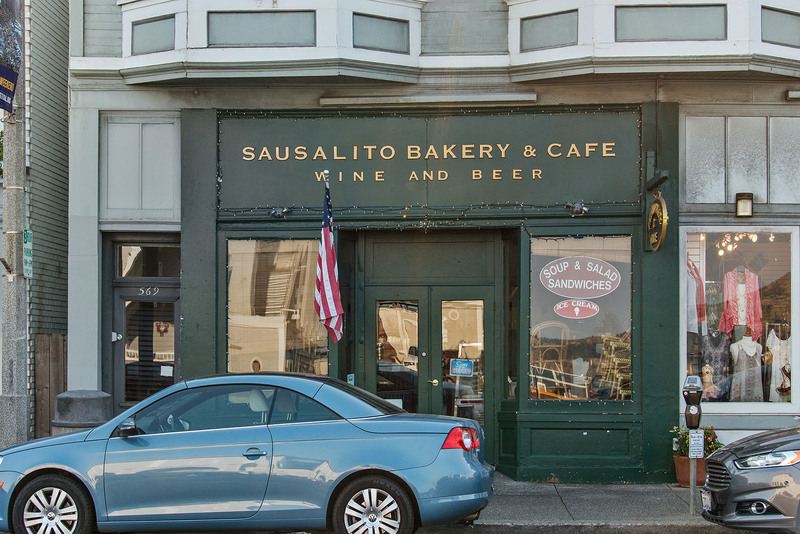 Short drive to Chestnut St & Pacific Hts, SF. 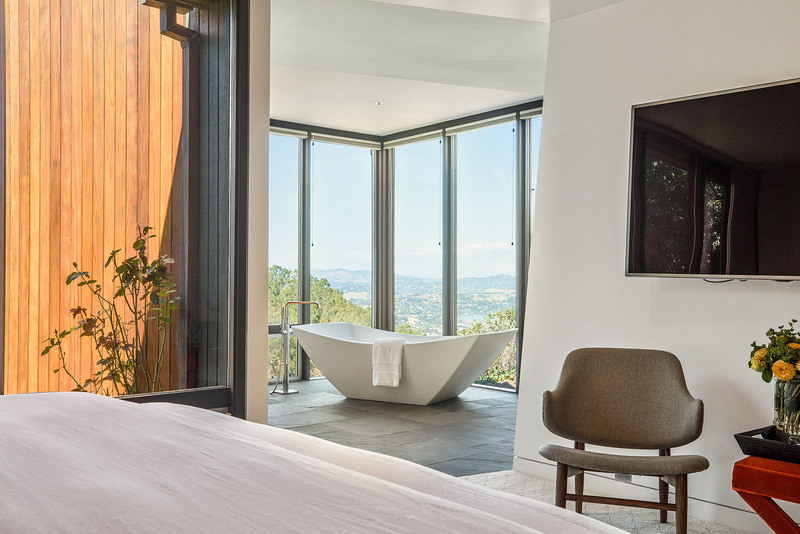 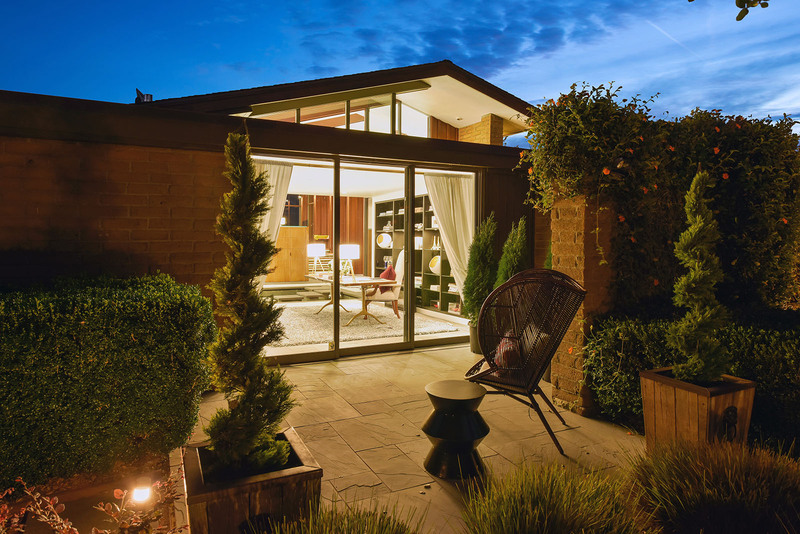 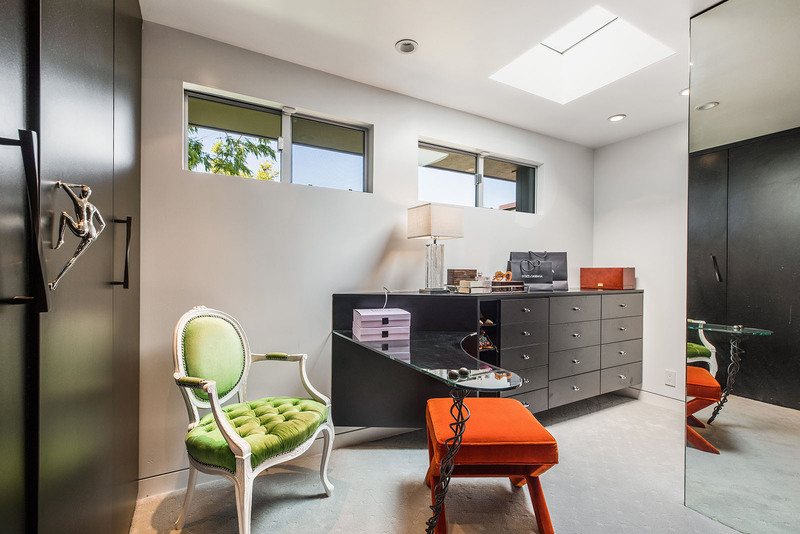 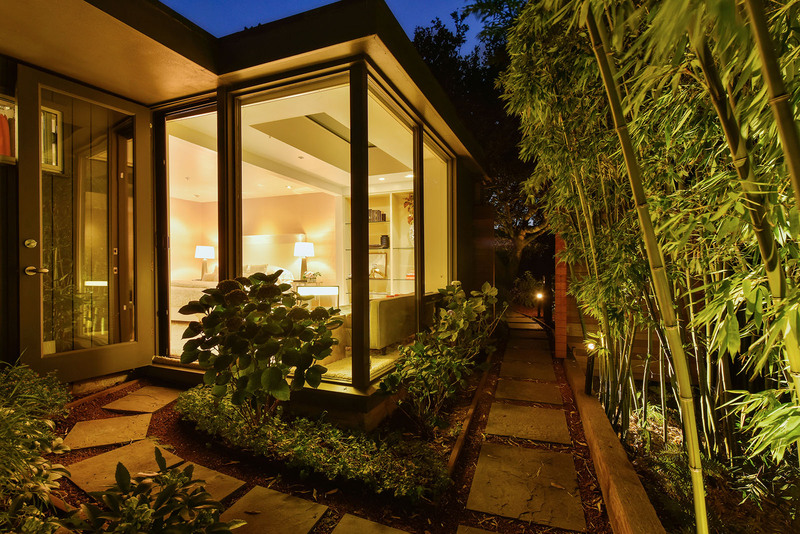 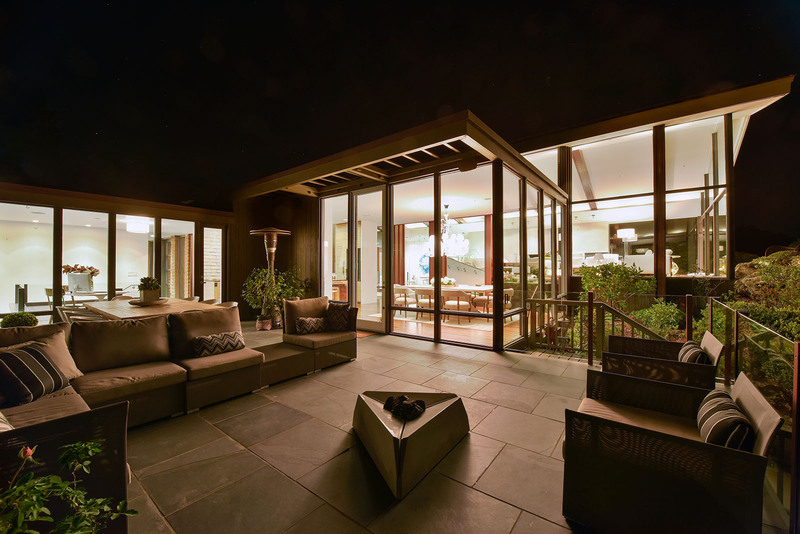 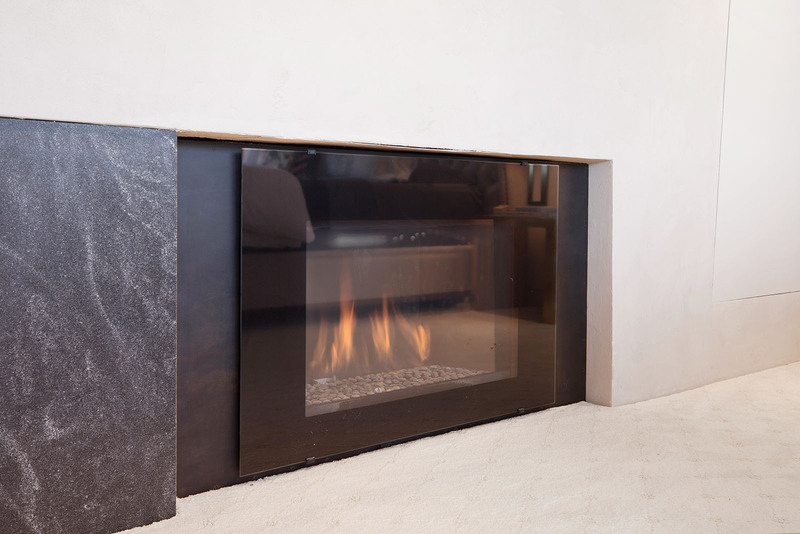 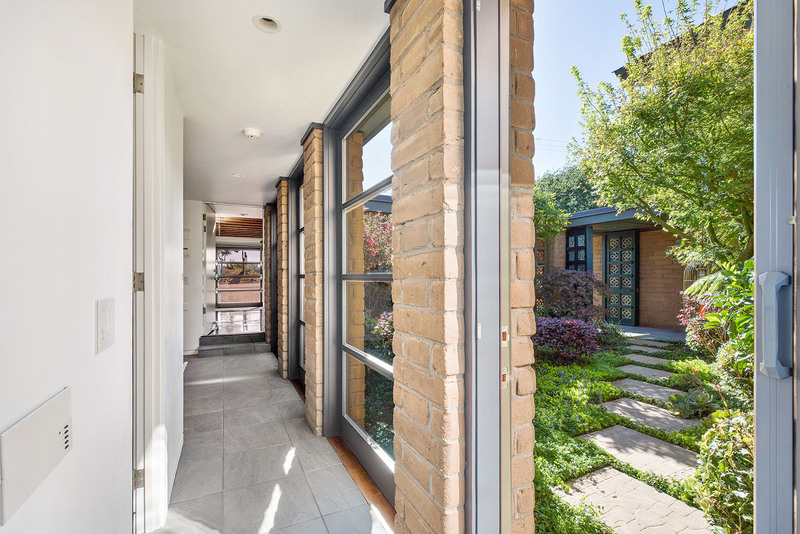 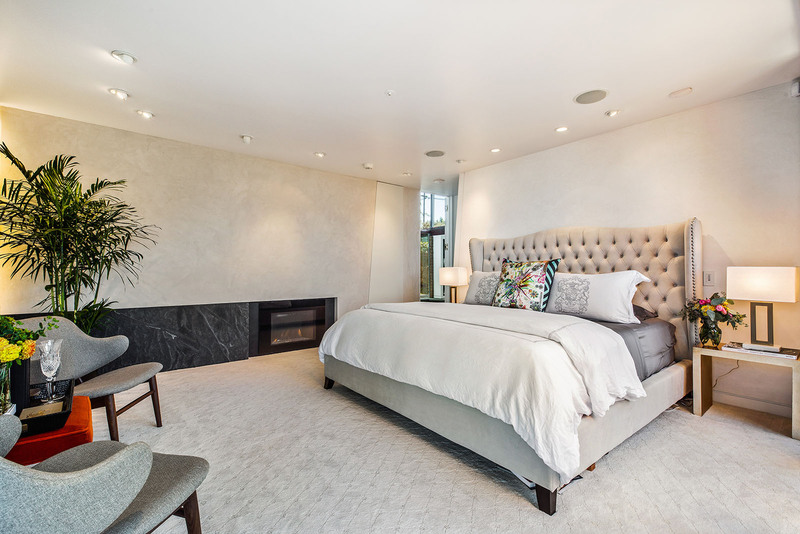 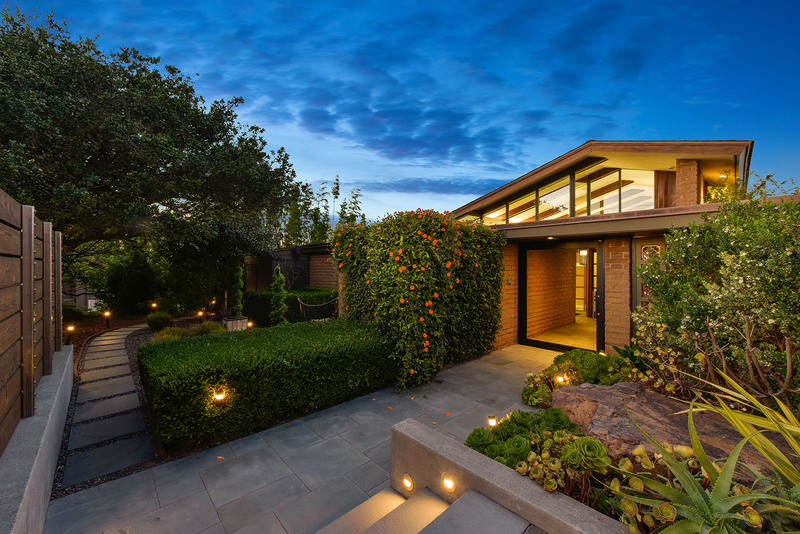 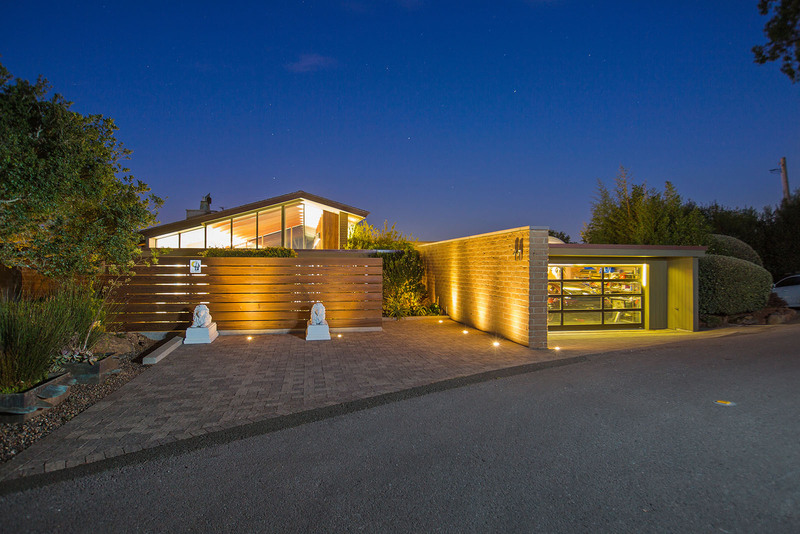 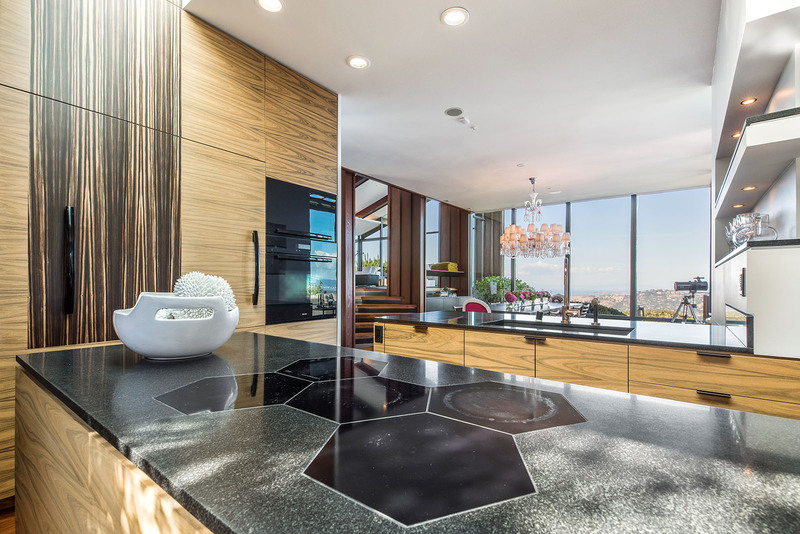 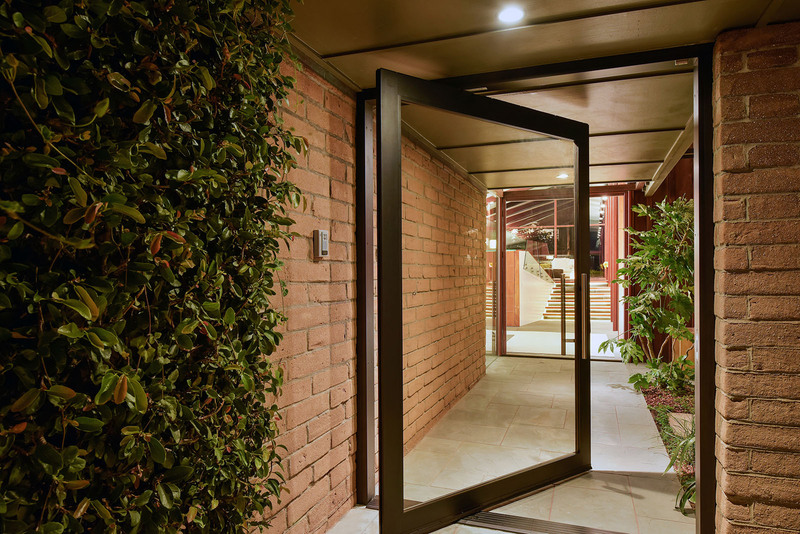 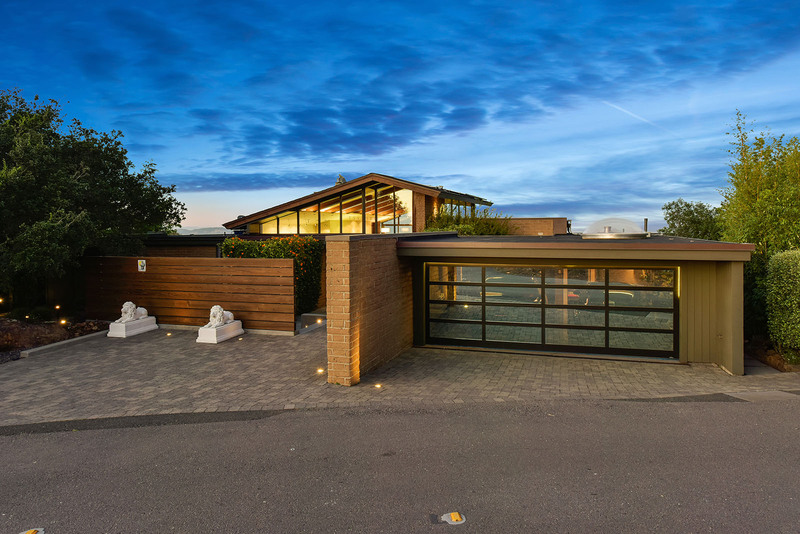 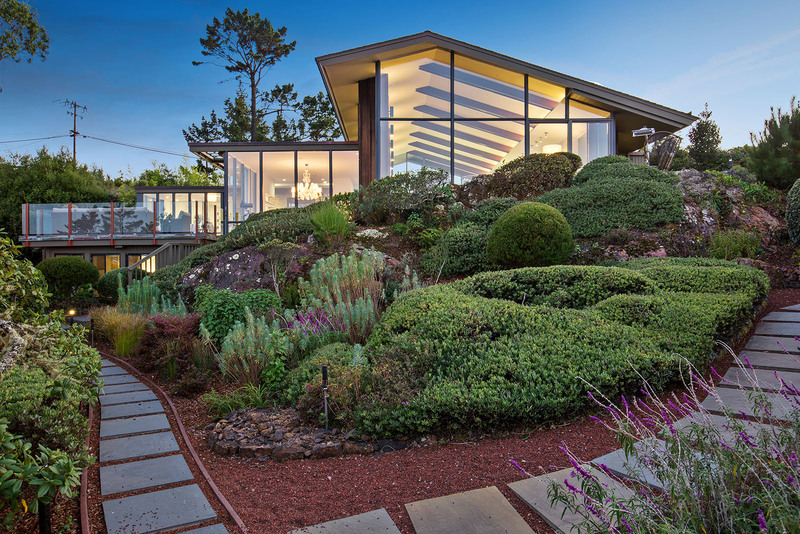 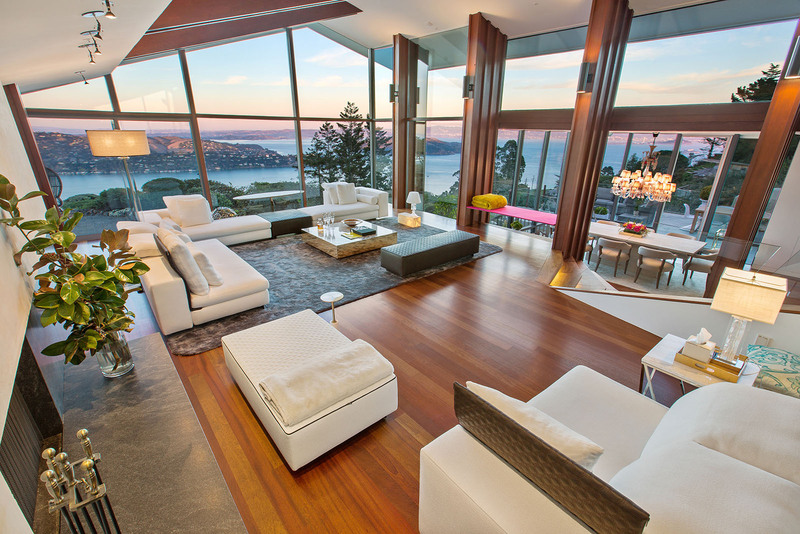 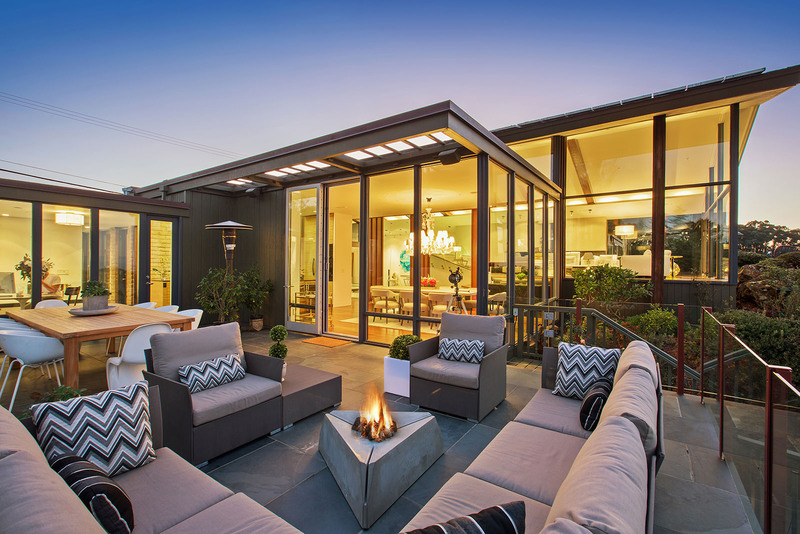 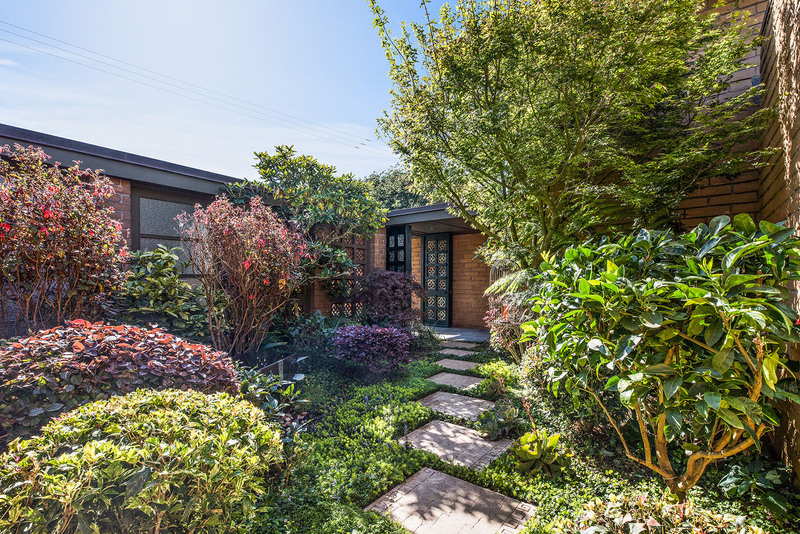 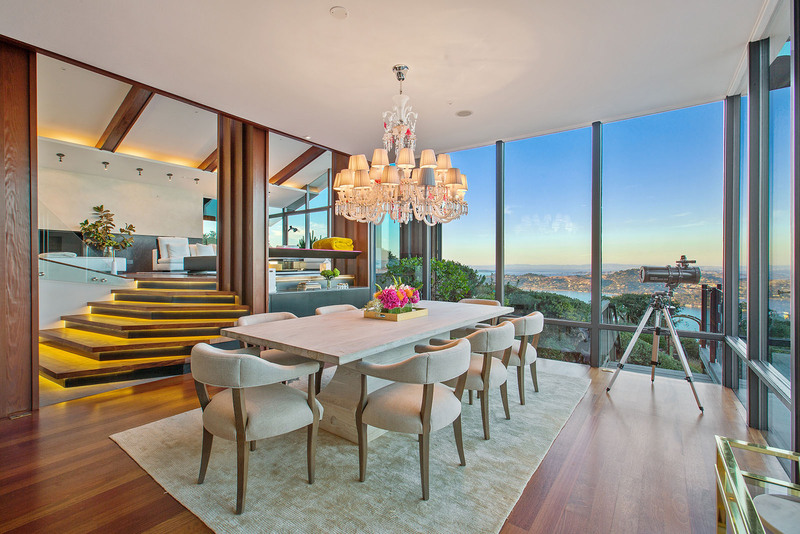 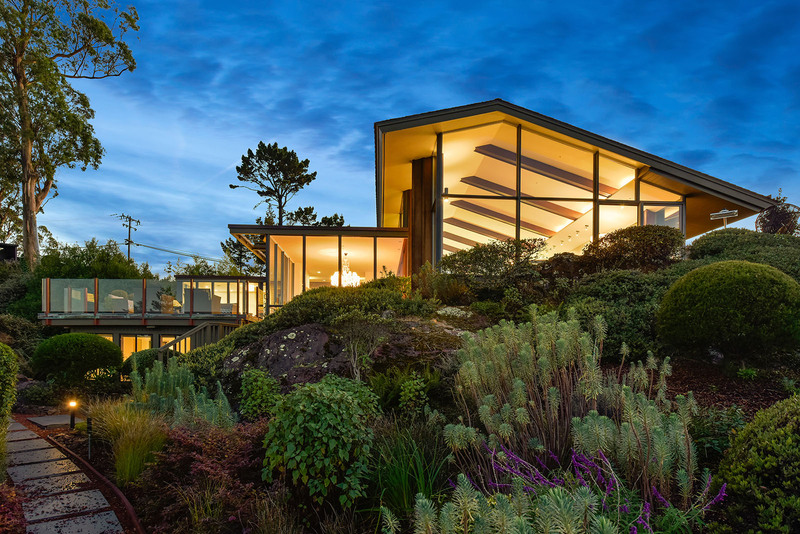 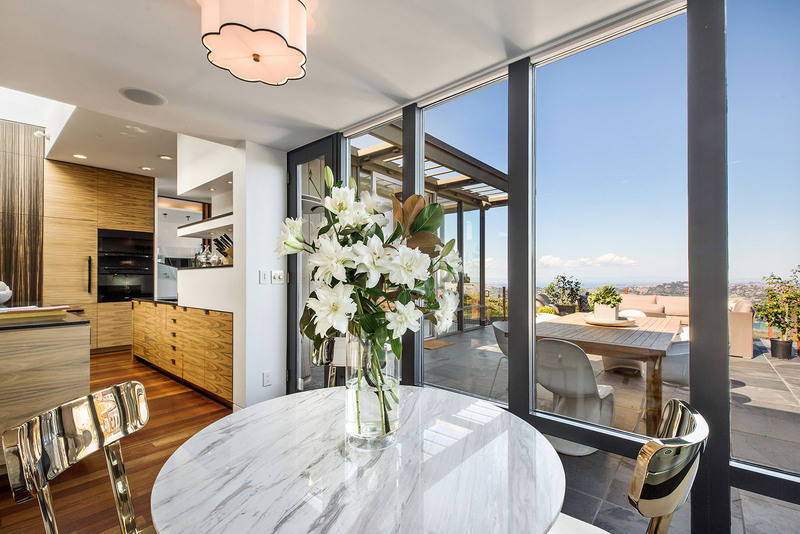 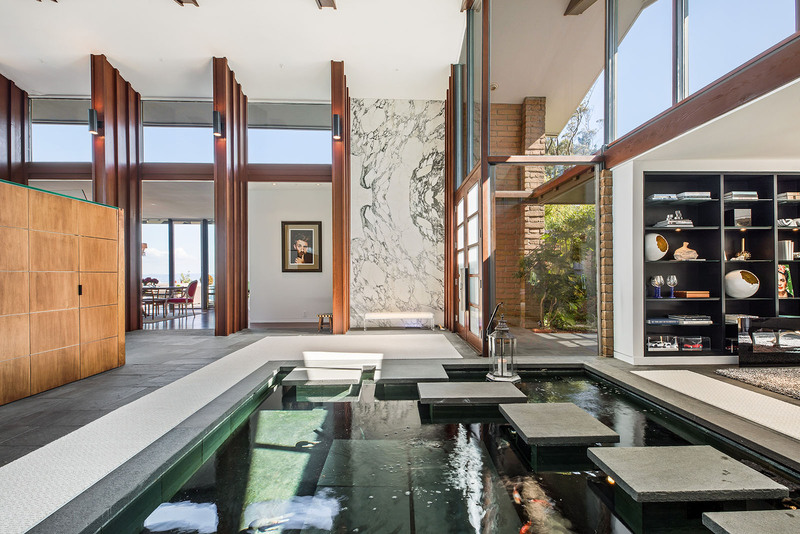 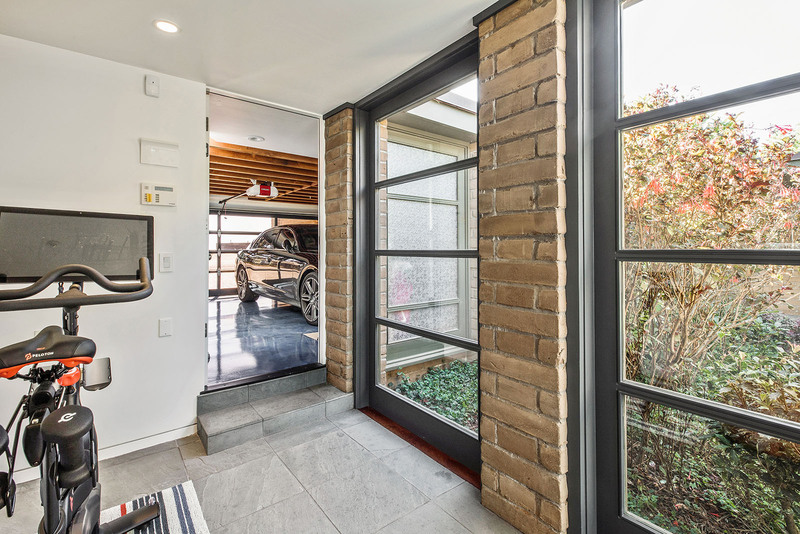 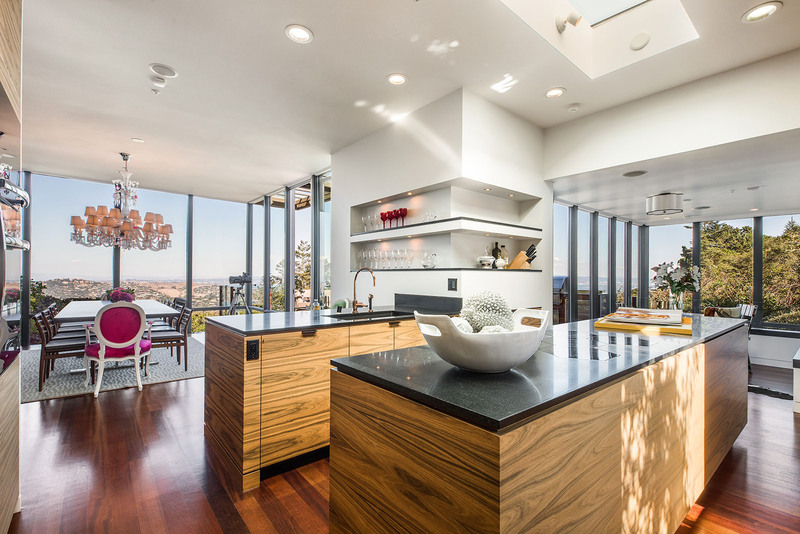 Rare combination of a contemporary residence with full privacy, approx. 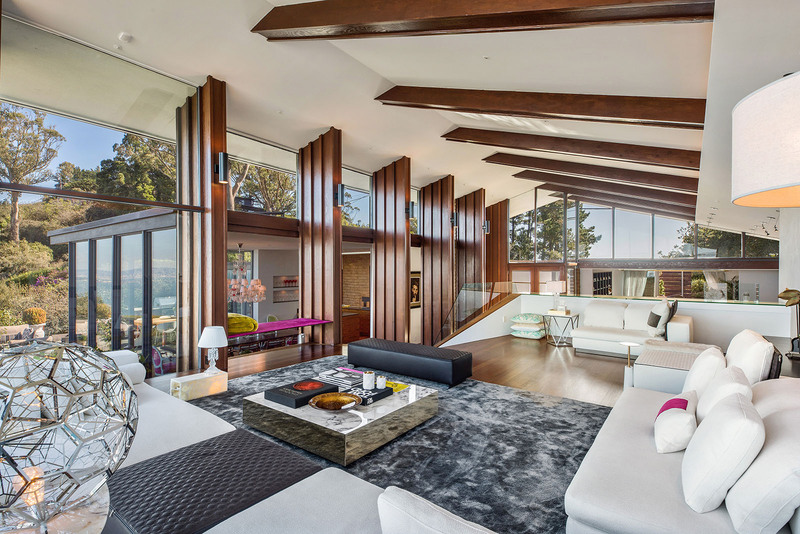 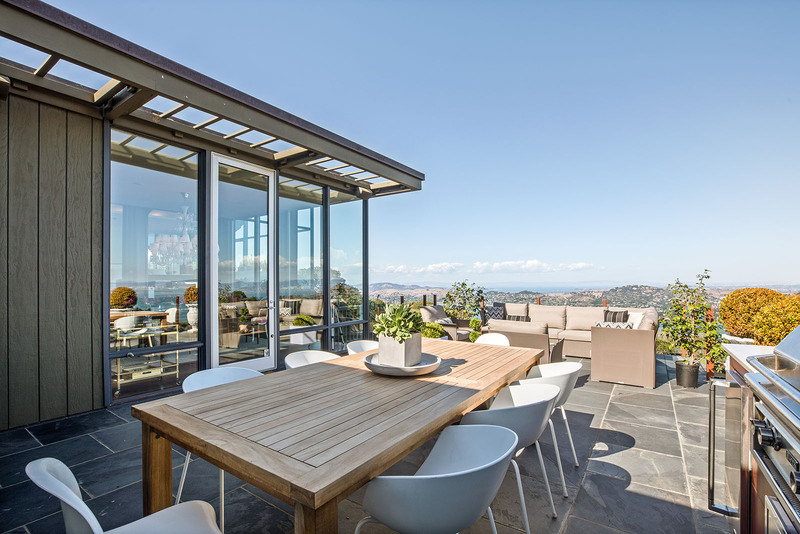 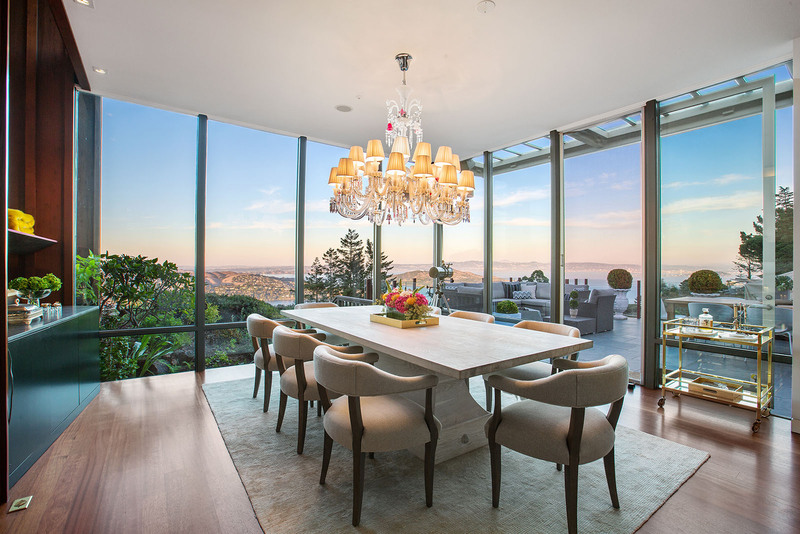 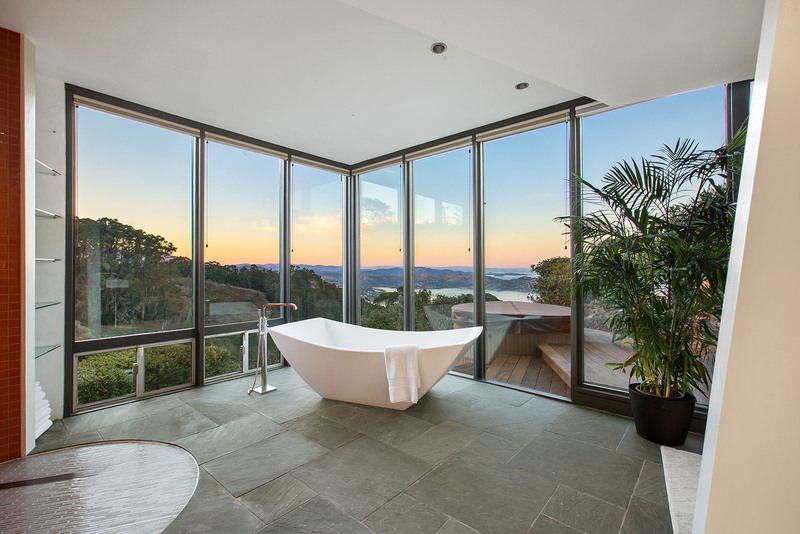 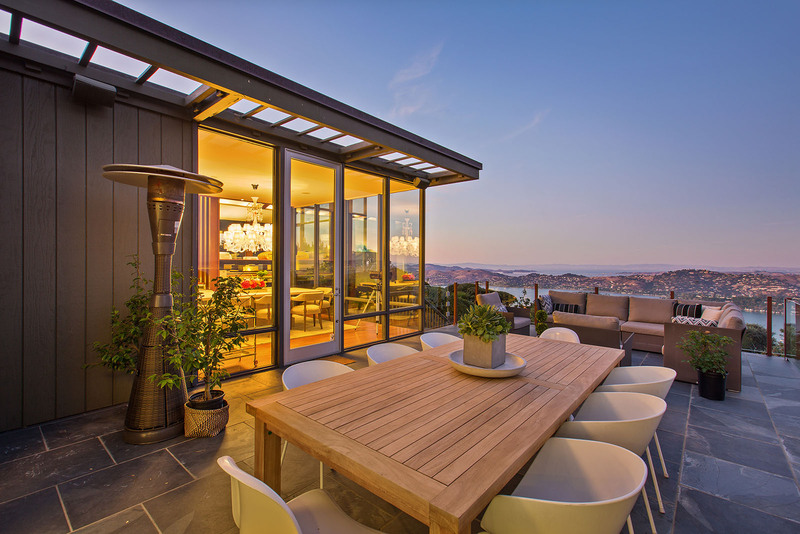 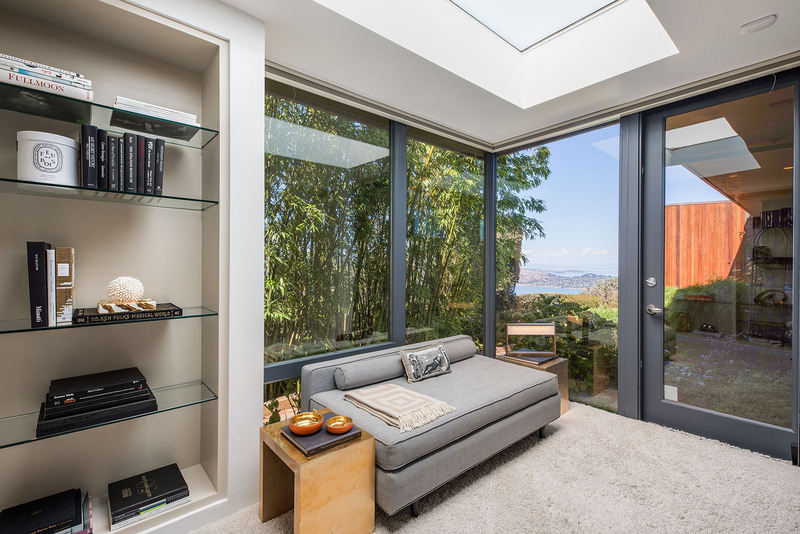 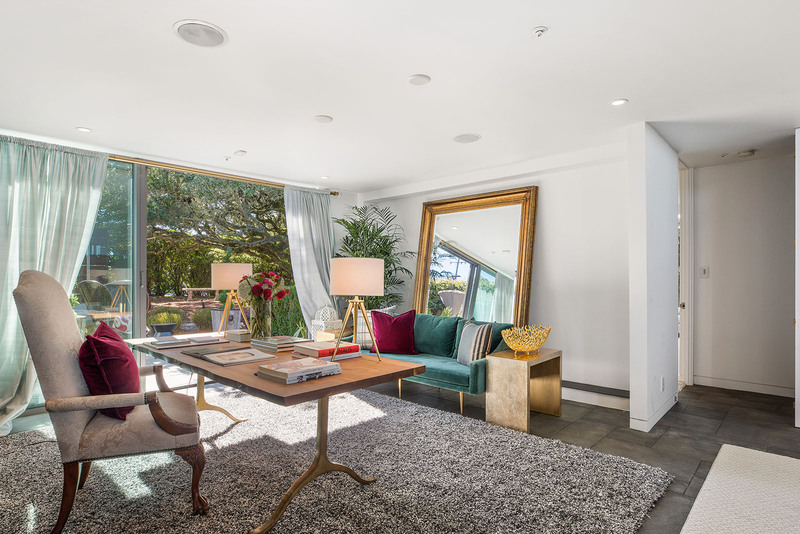 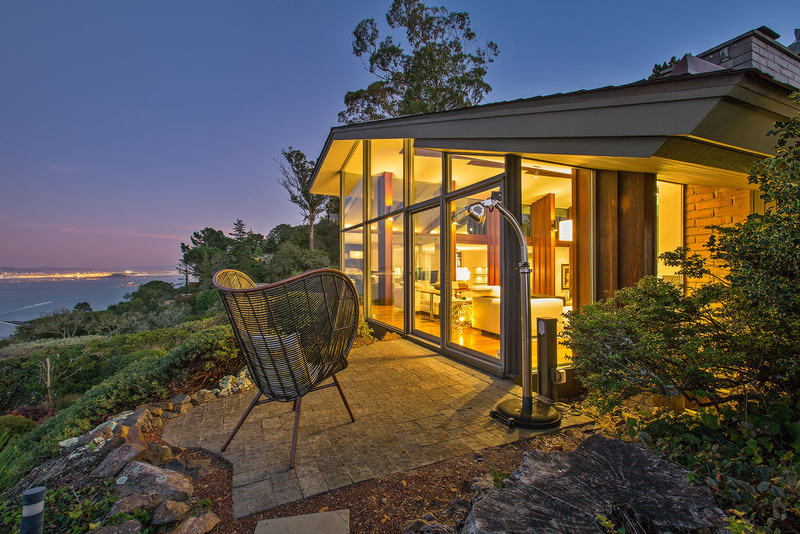 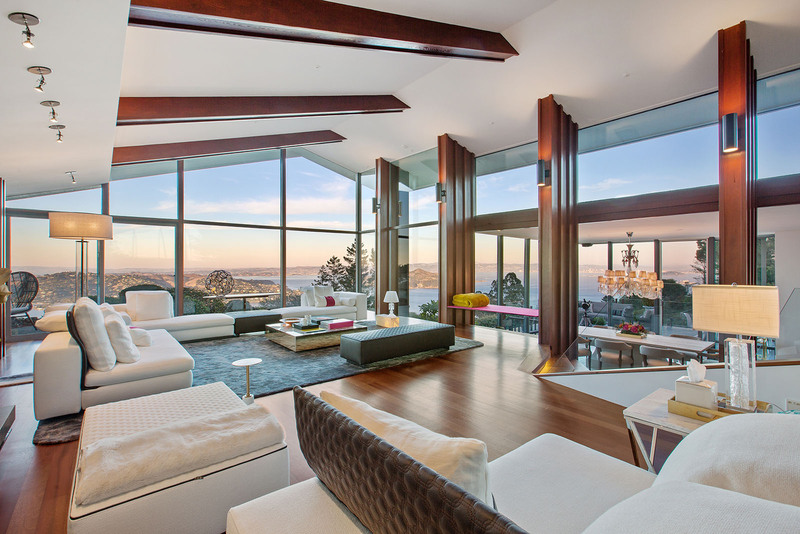 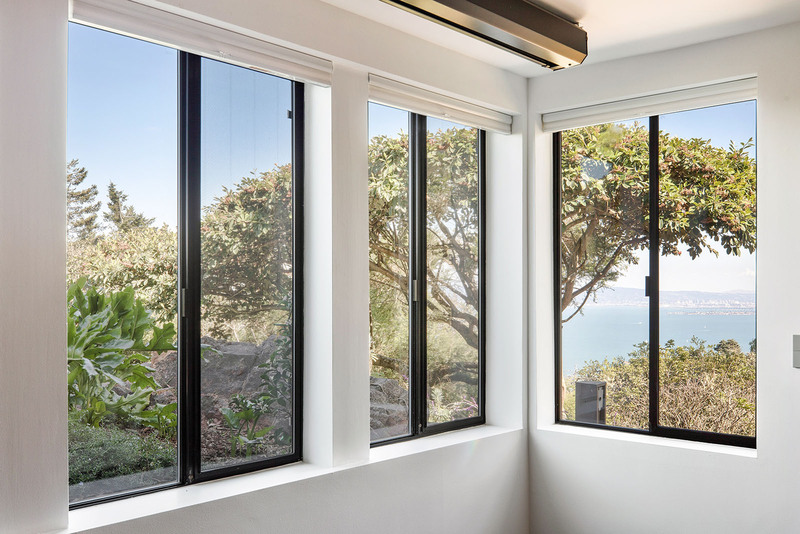 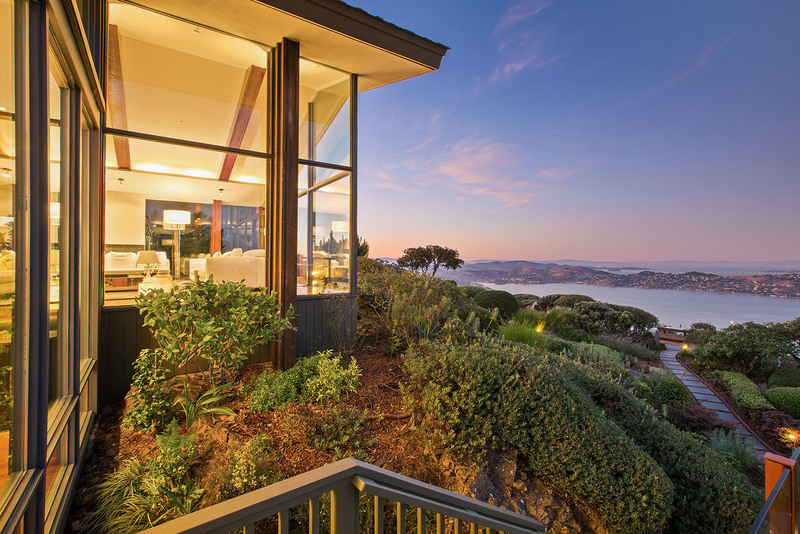 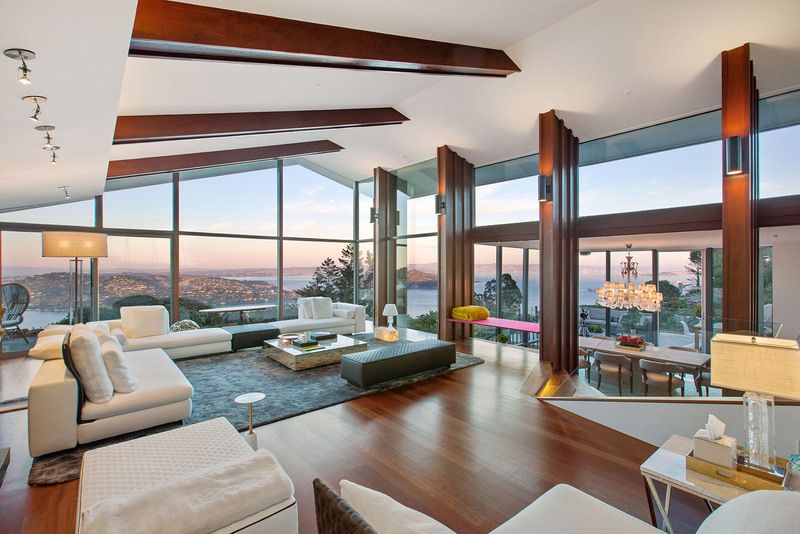 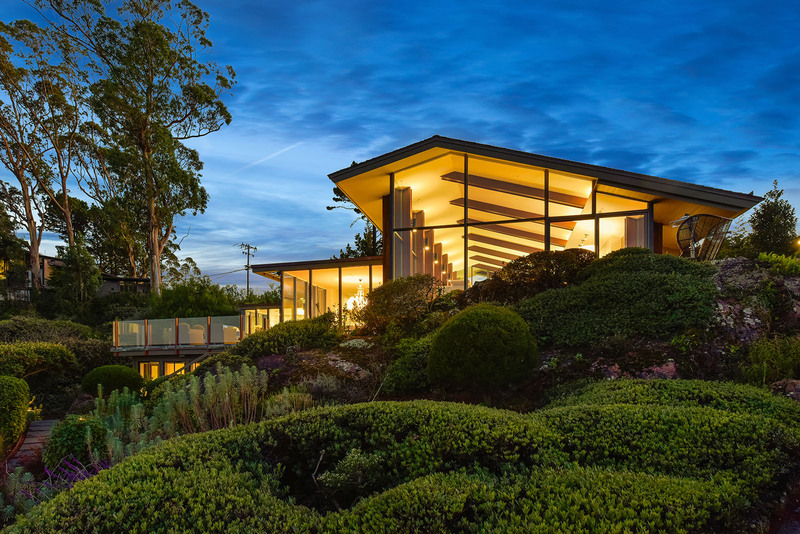 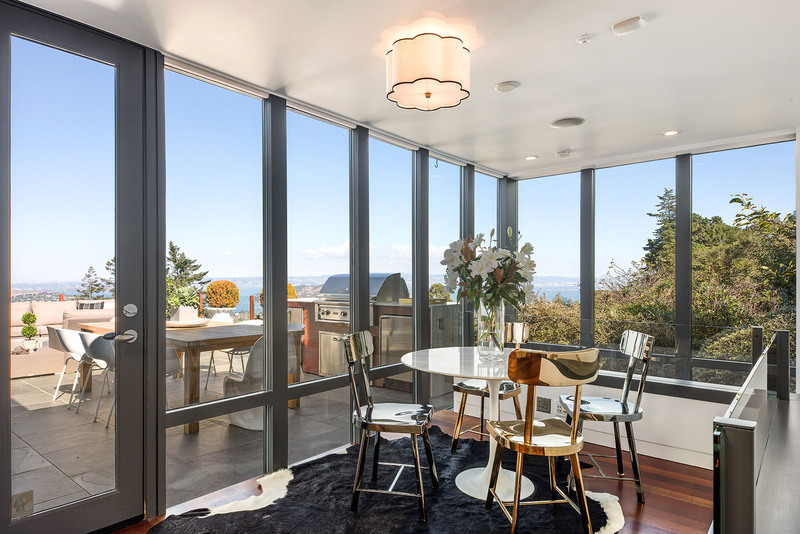 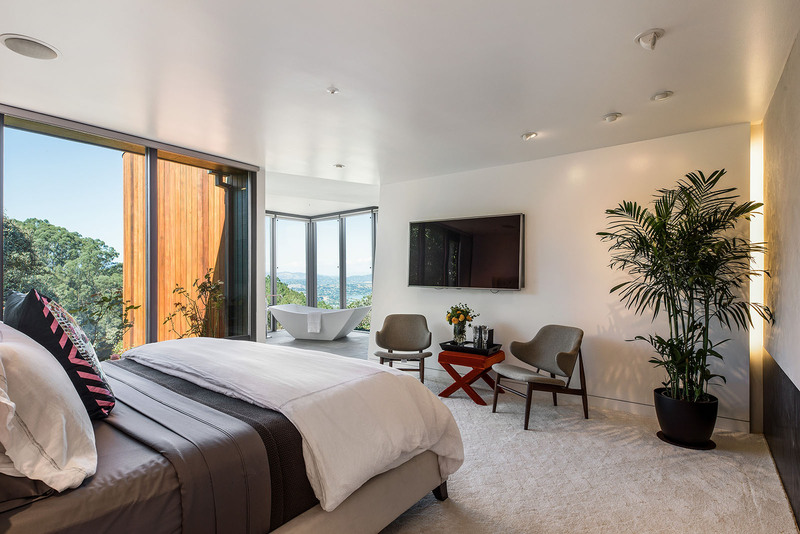 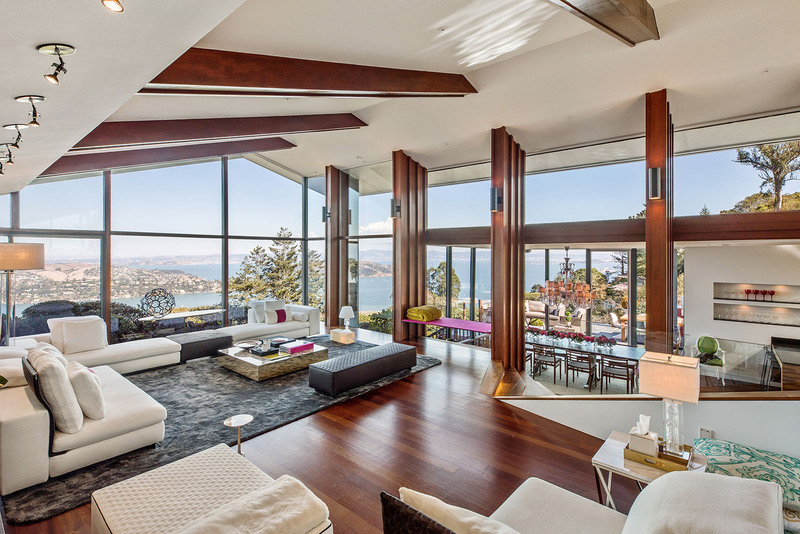 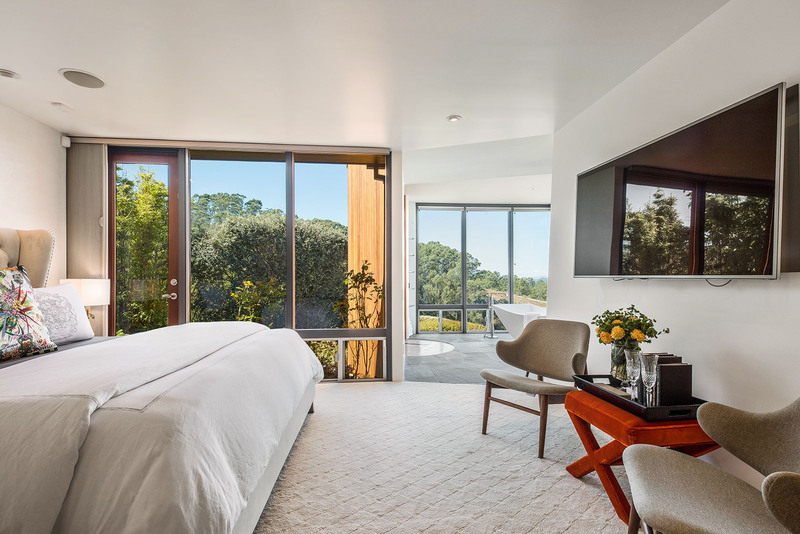 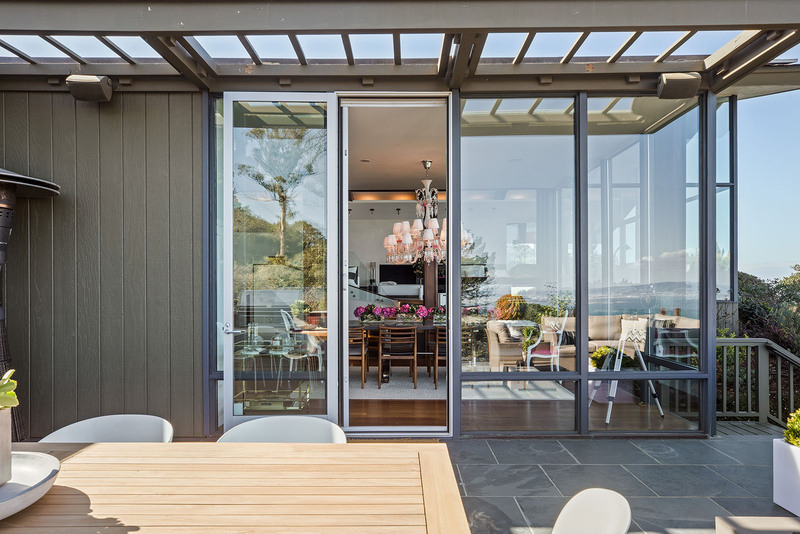 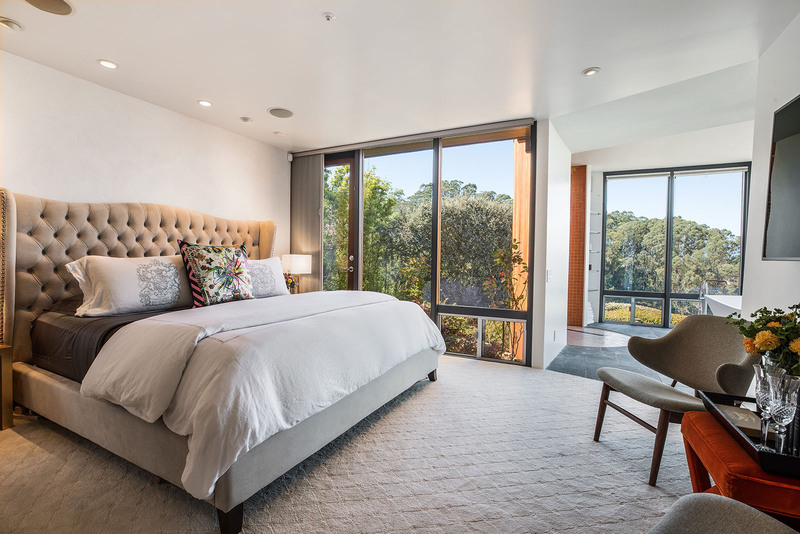 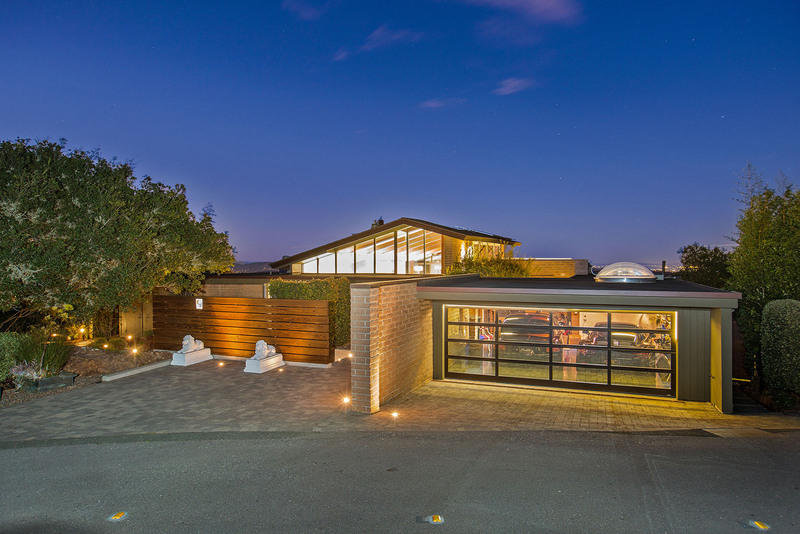 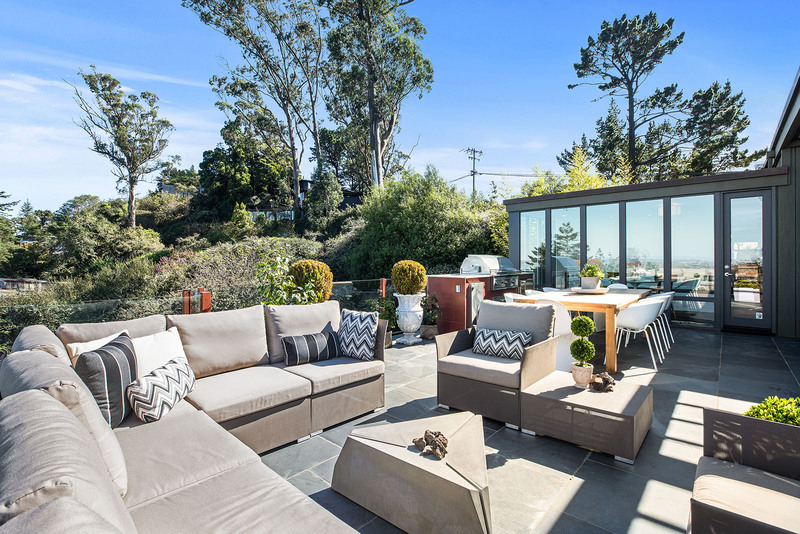 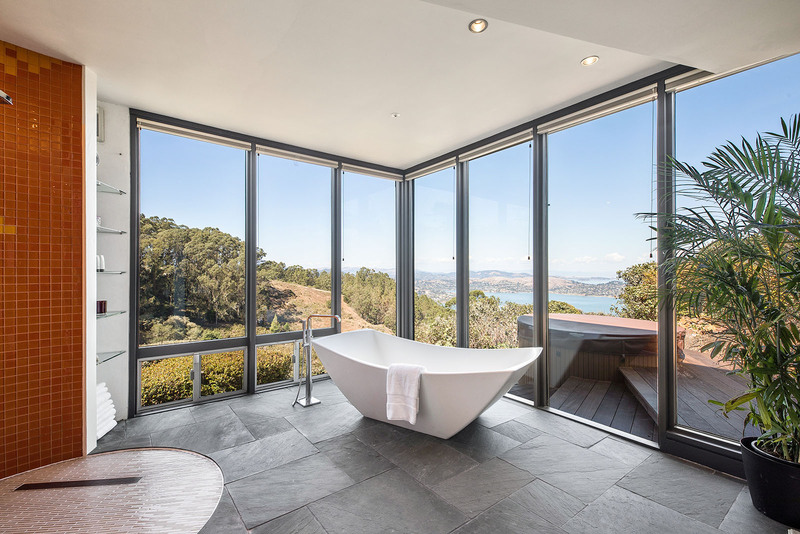 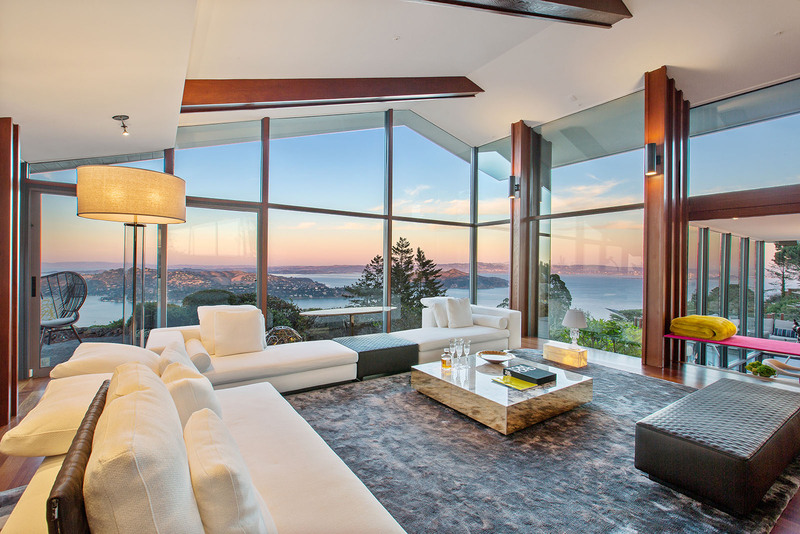 15' high ceiling and 70' wide wall to wall windows with commanding double bridge water view from Bay Bridge, Angel Island, Tiburon to Richmond bridge. 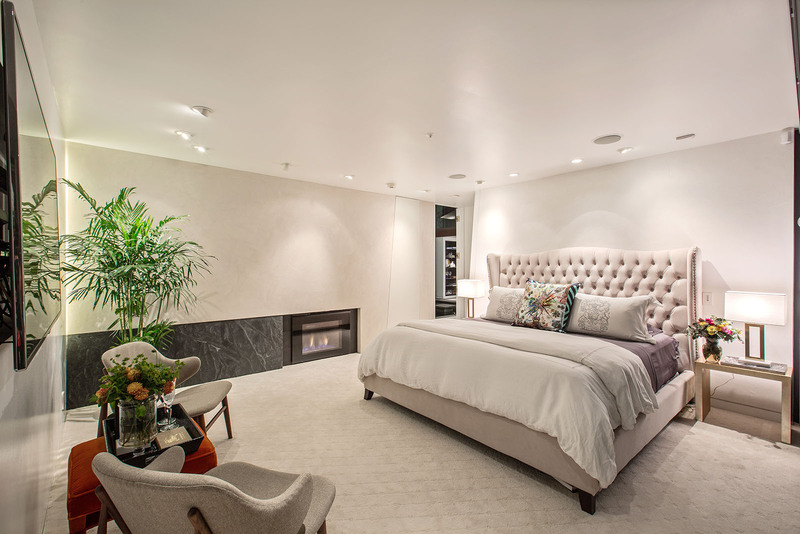 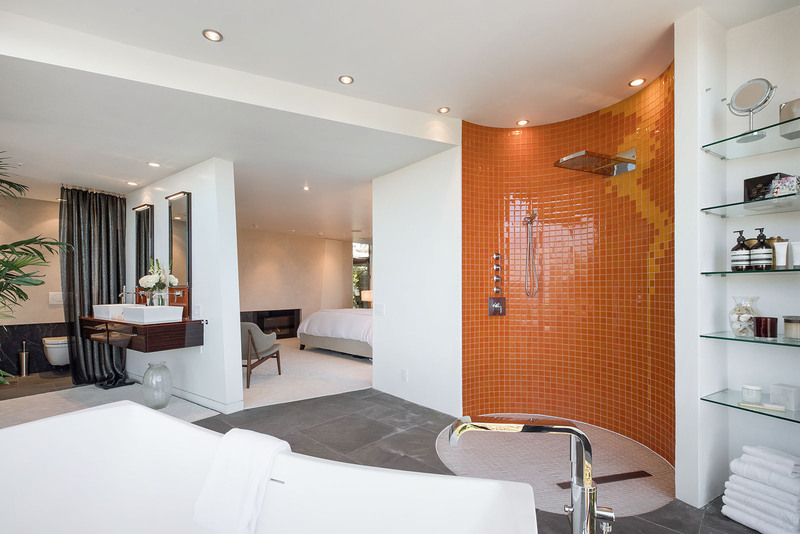 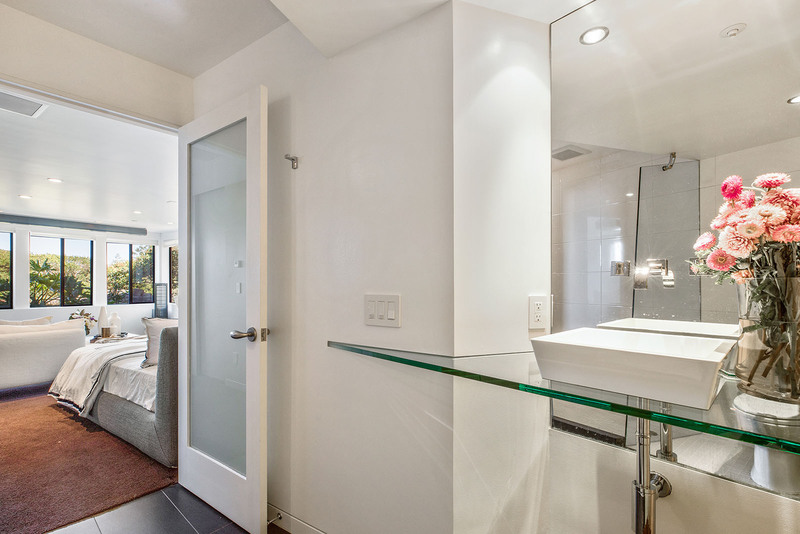 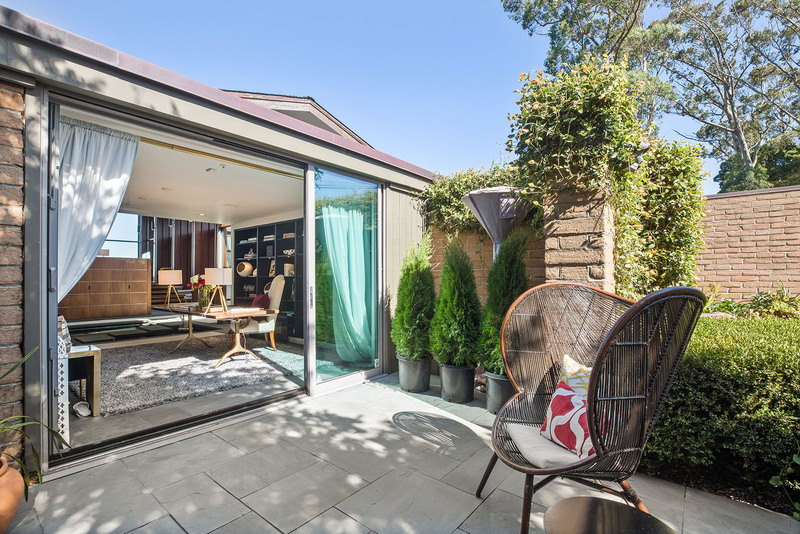 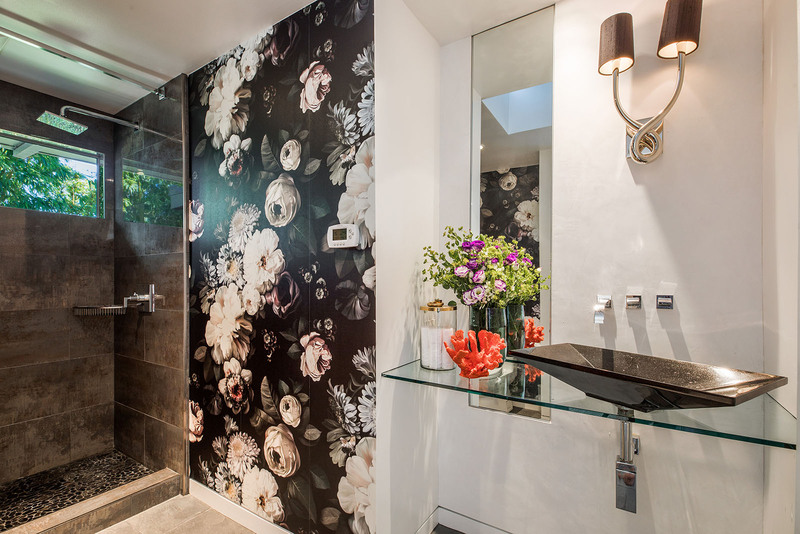 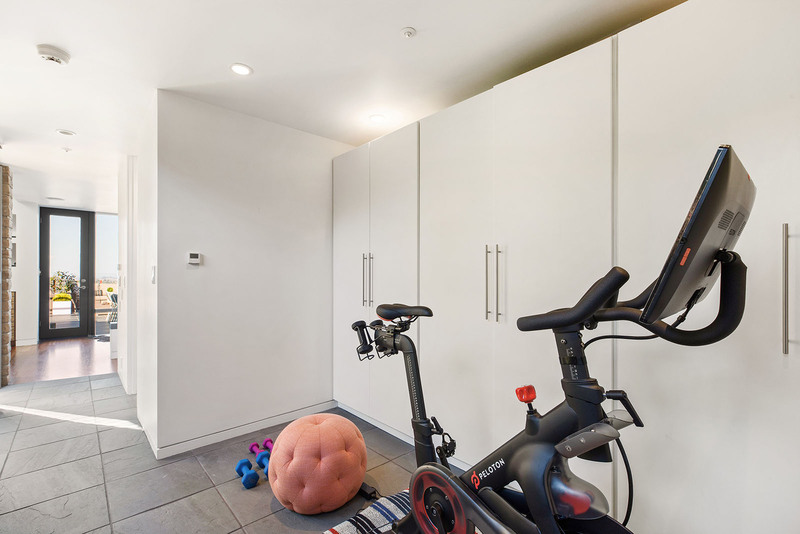 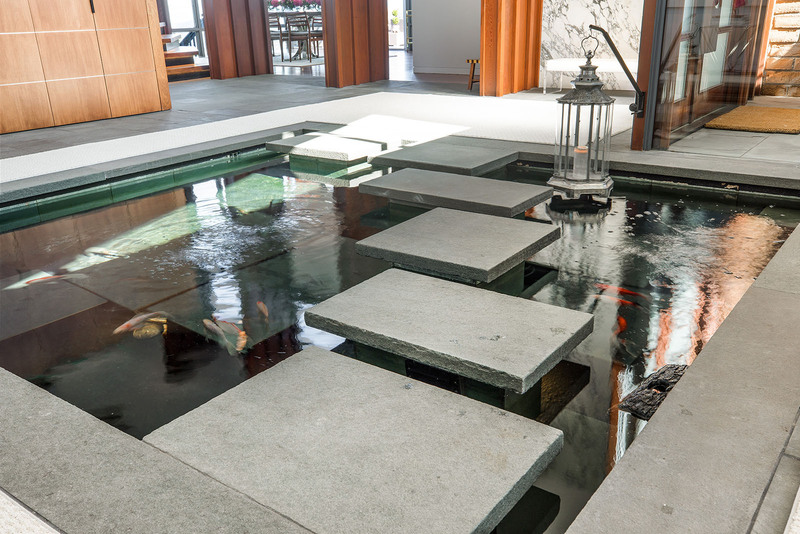 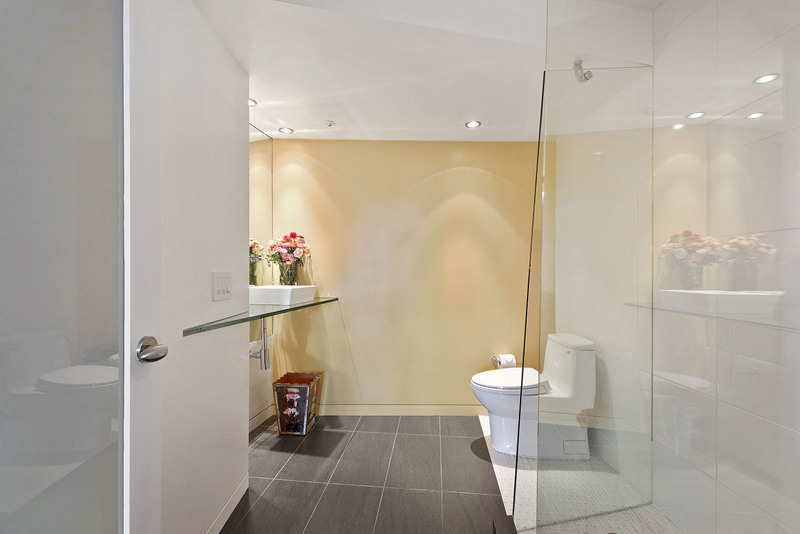 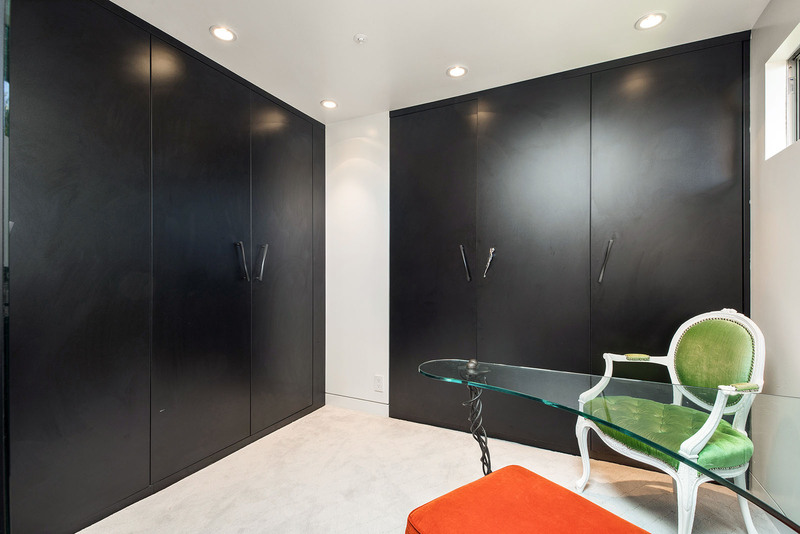 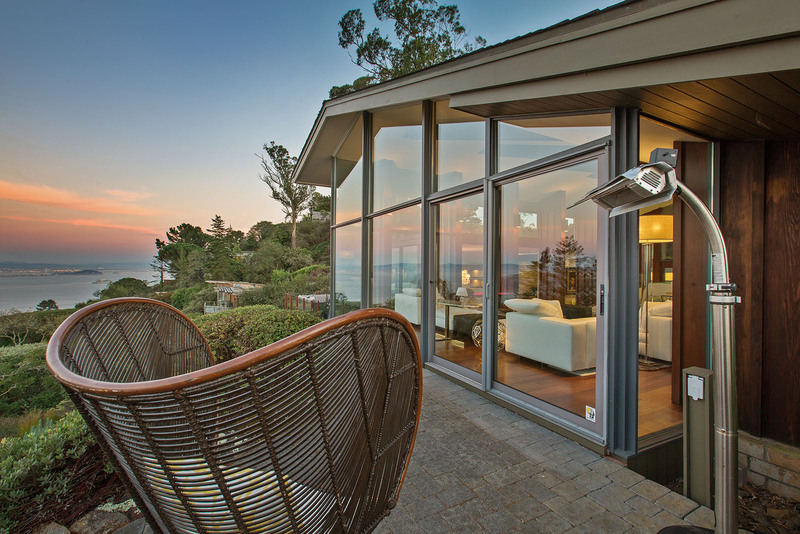 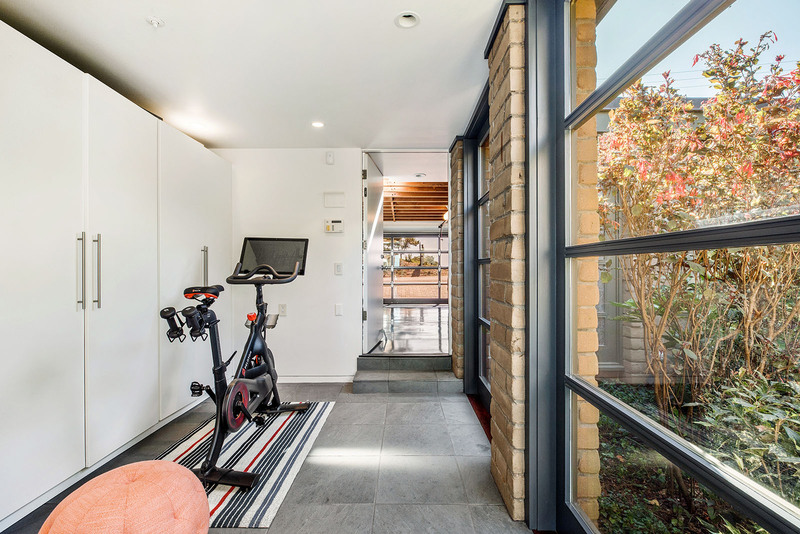 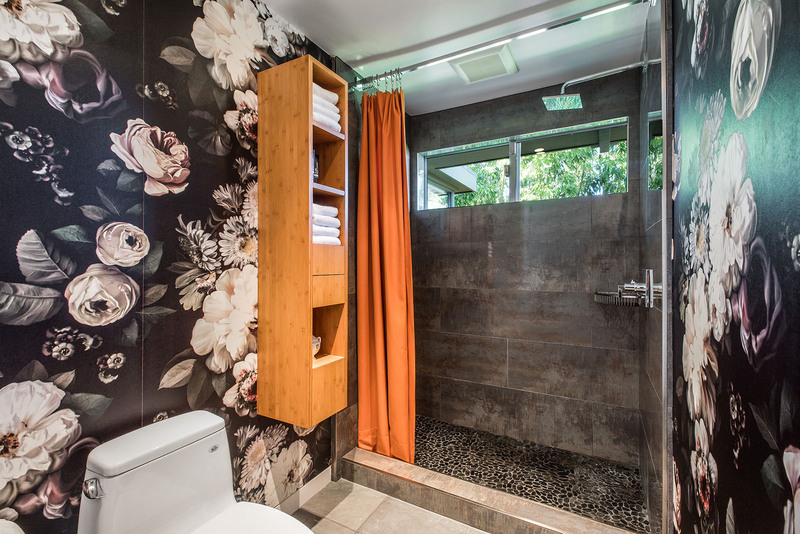 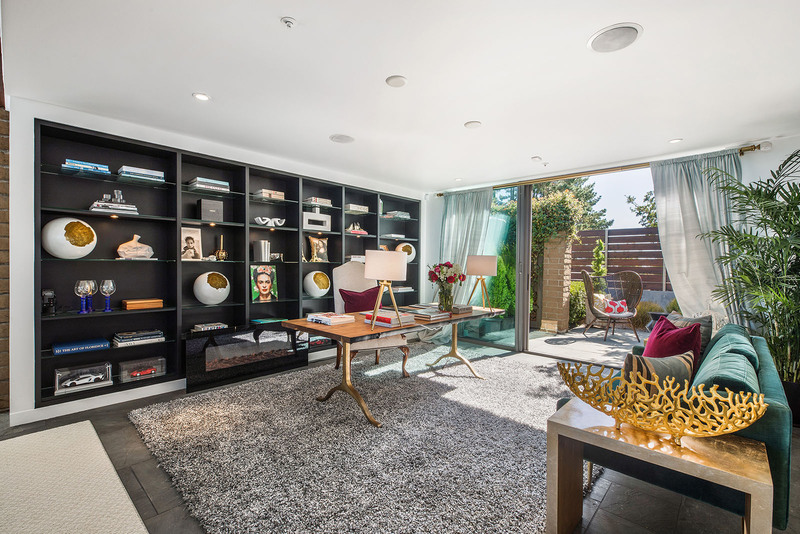 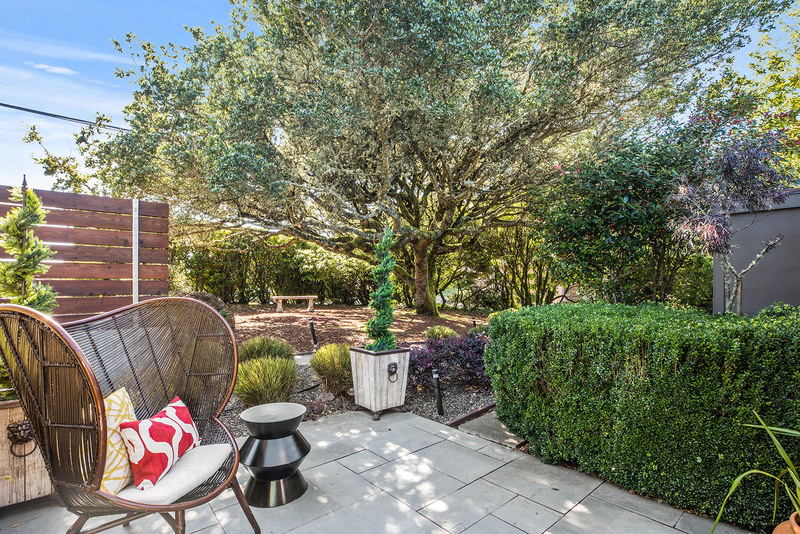 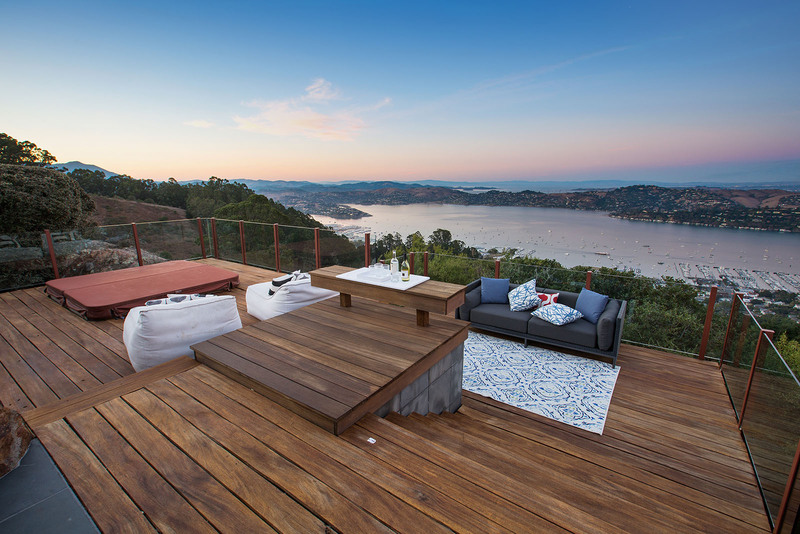 3 en suites have independent access to 6 outdoor spaces & 1200+ Sqft of decks. 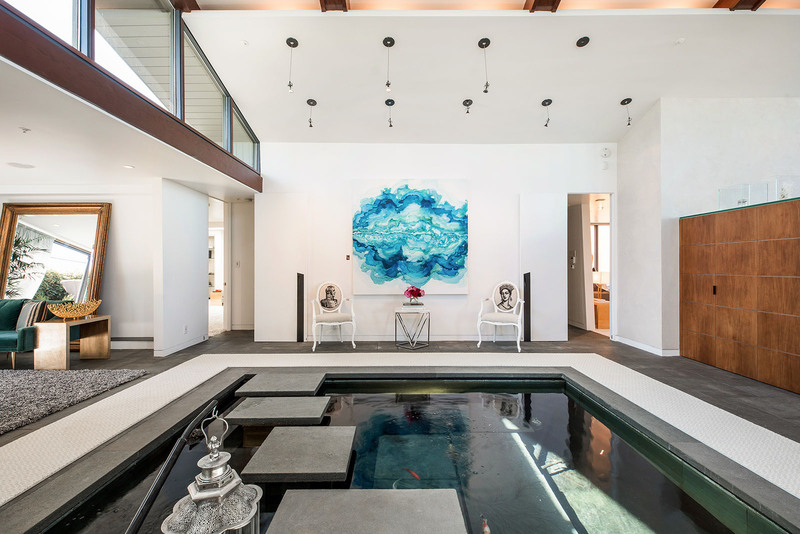 This remodeled unique work of art is on 30,000+/- Sqft level lot with indoor Koi pond, sun-filled mature landscaping, blooming rose gardens and fruit trees. 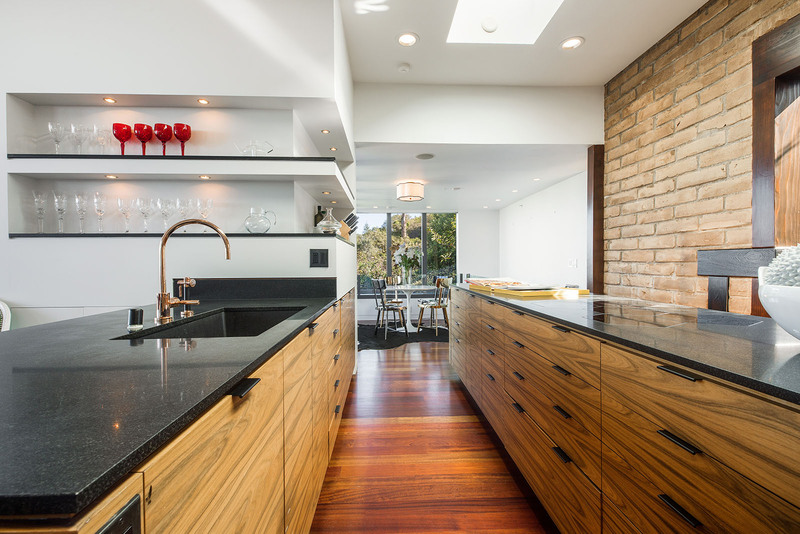 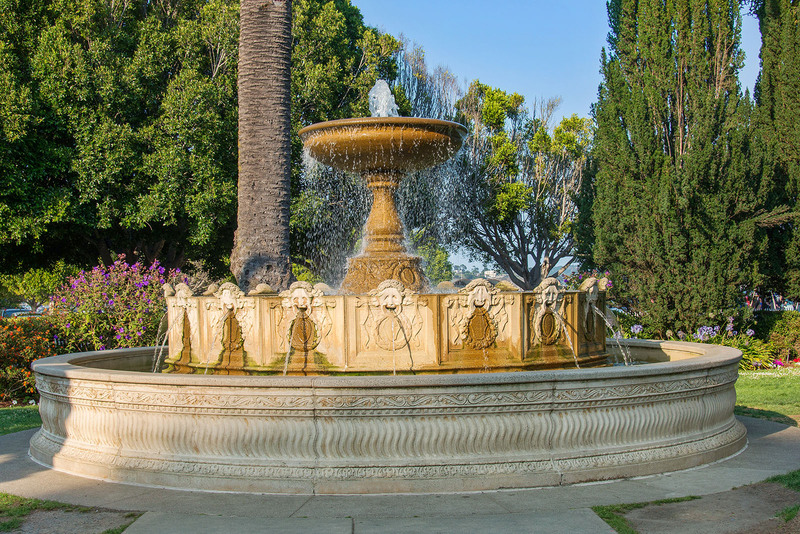 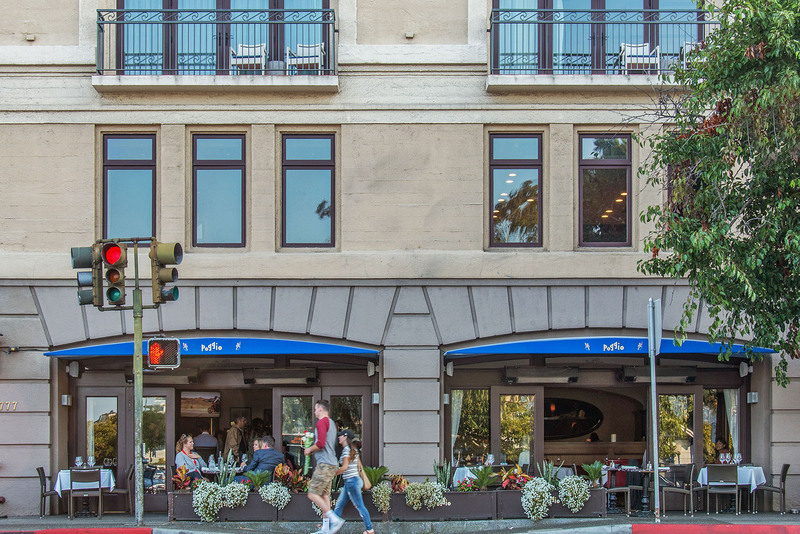 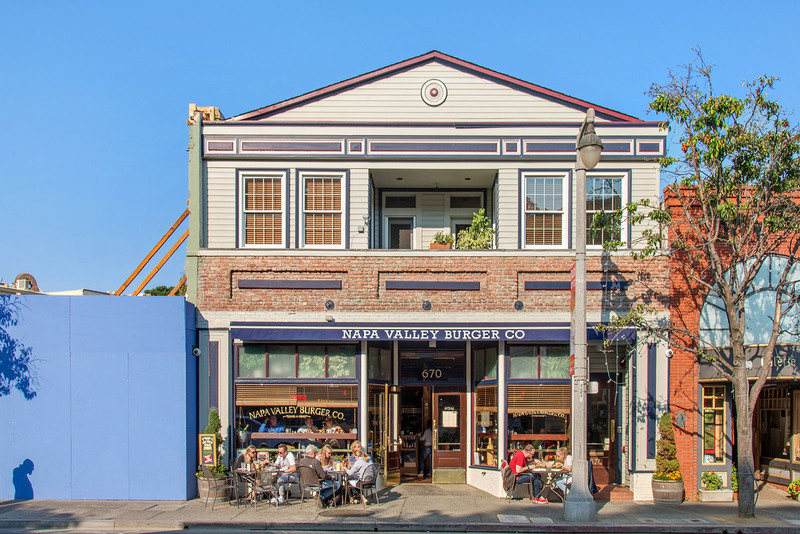 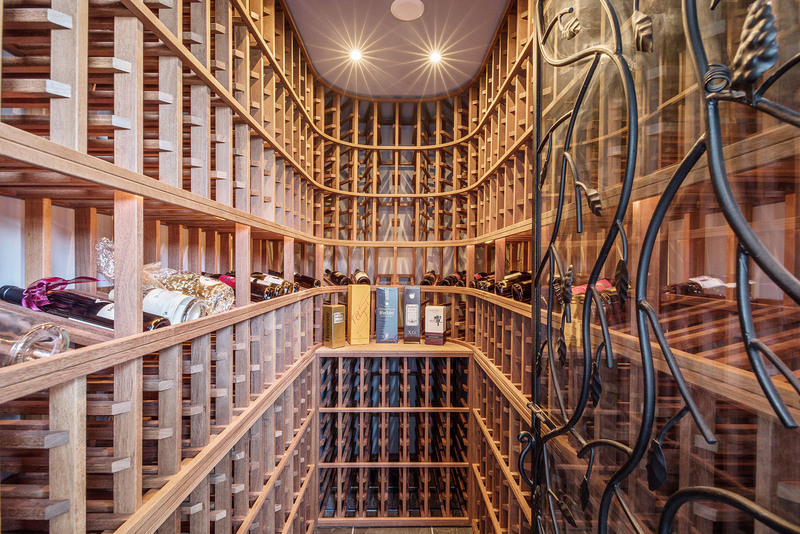 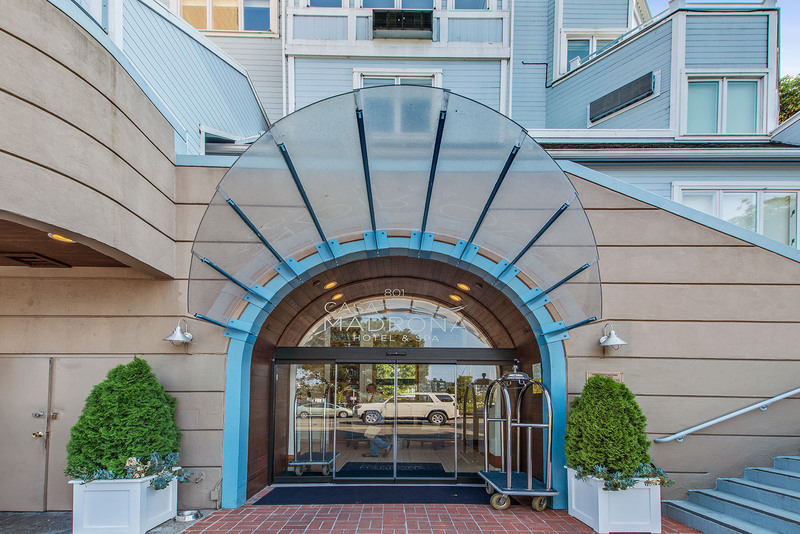 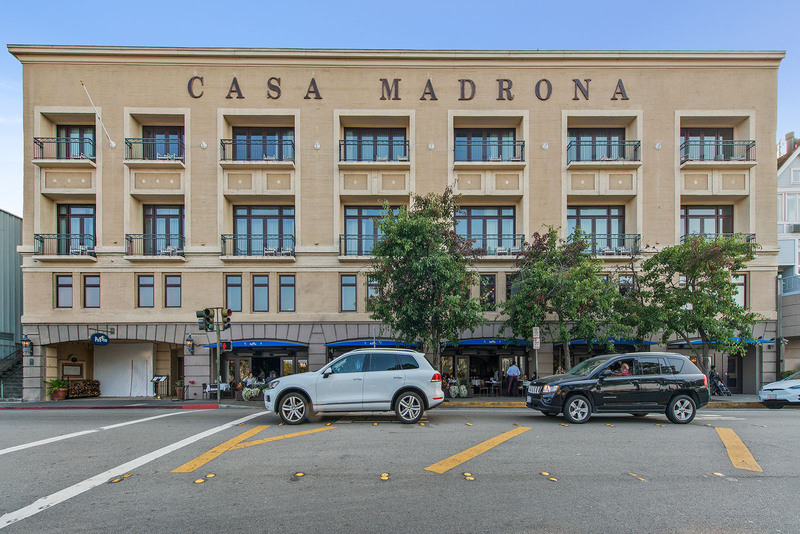 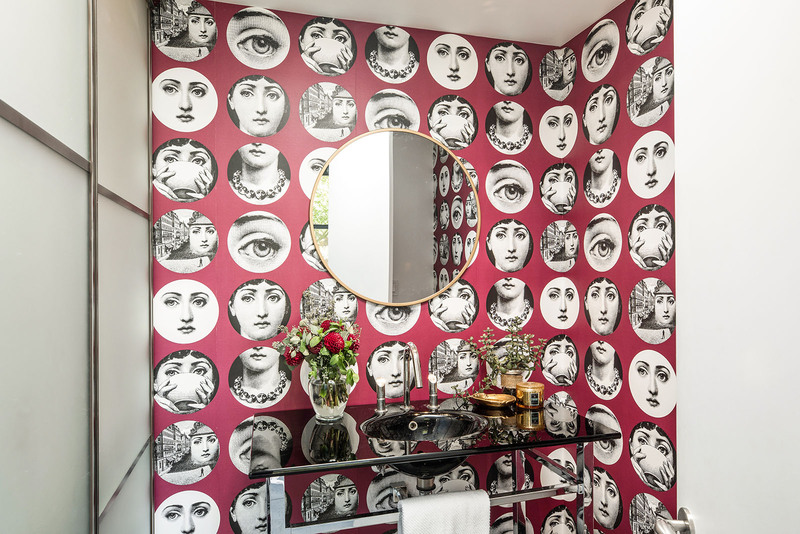 Designed by renowned architect Reece Clark, a Maybeck's student. 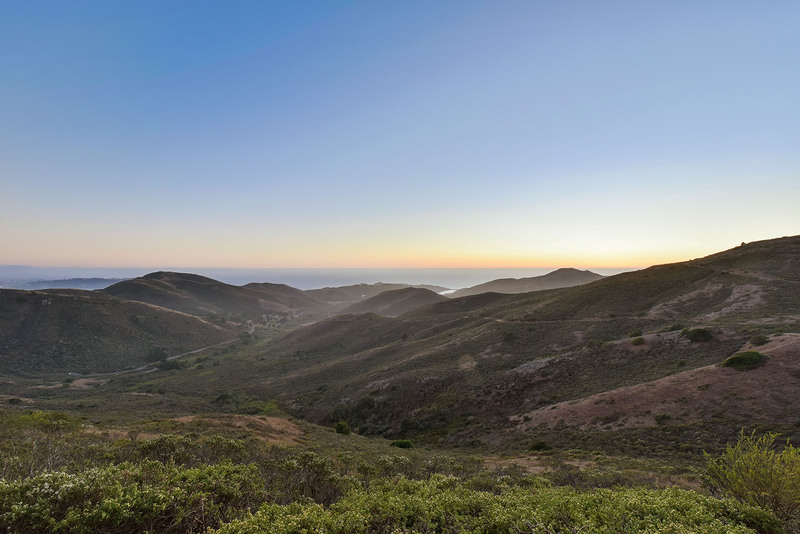 Next to 130,000 acres of GG National Park land. 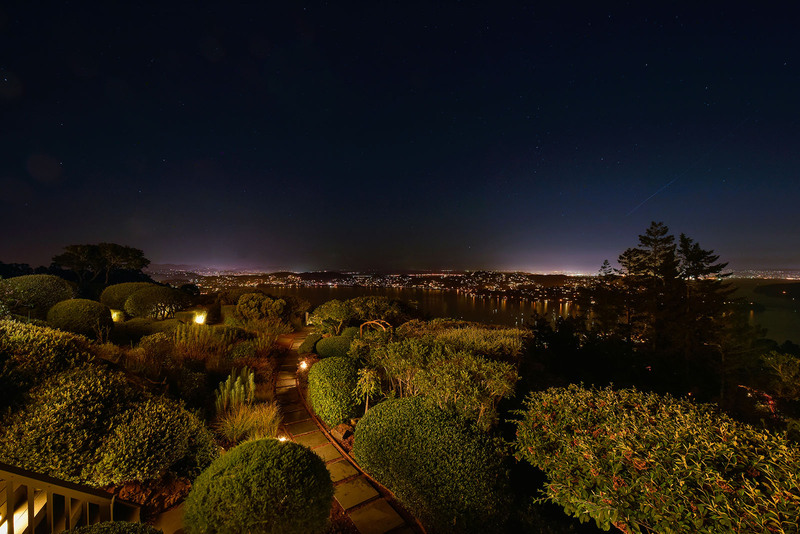 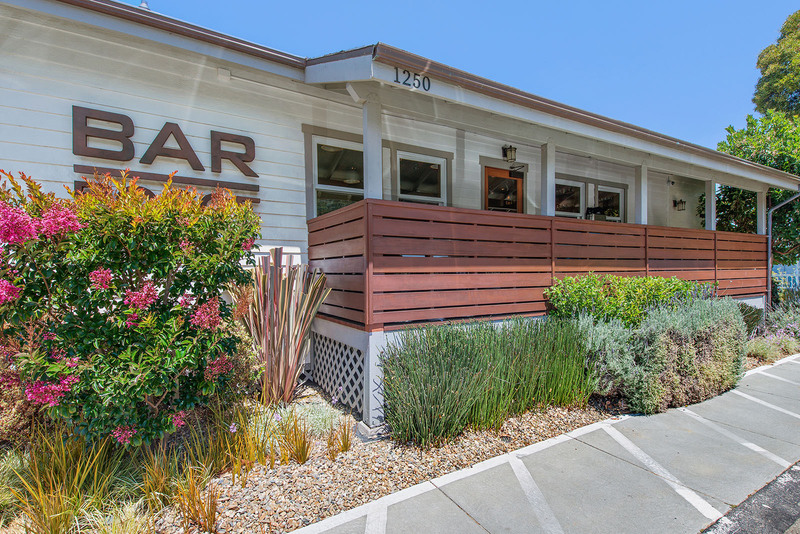 Prestigious gated community with private road, new bridge and direct freeway exit; 10+ min short drive to Corte Madera, Tiburon, and SF. 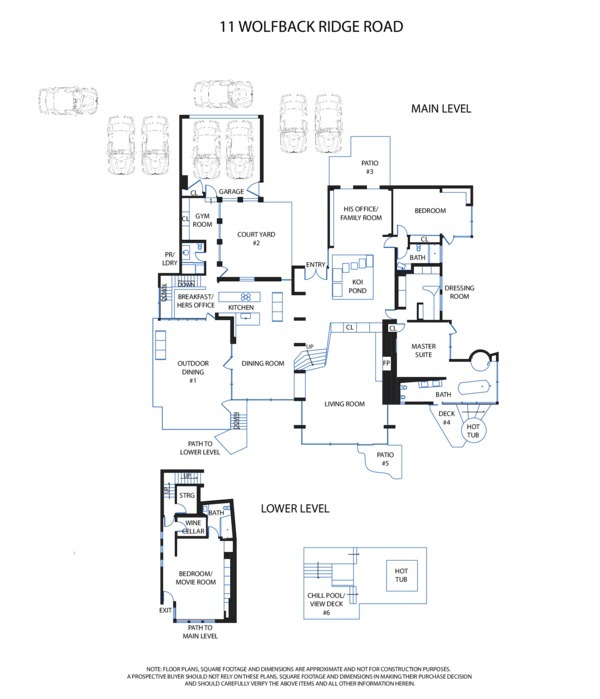 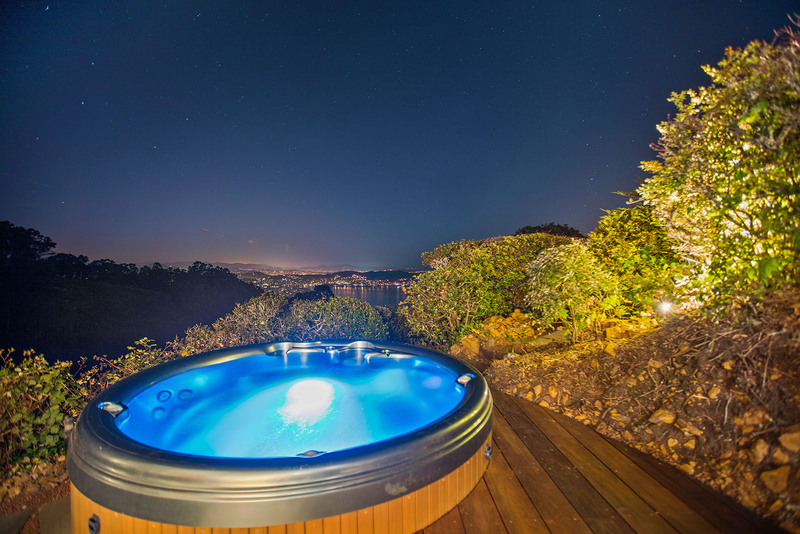 11 Wolfback has movie theater, temperature controlled wine cellar room, radiant heat throughout, solar power system, hot tub, built in indoor outdoor music system & surround sound speakers, security system, central vacuum system. 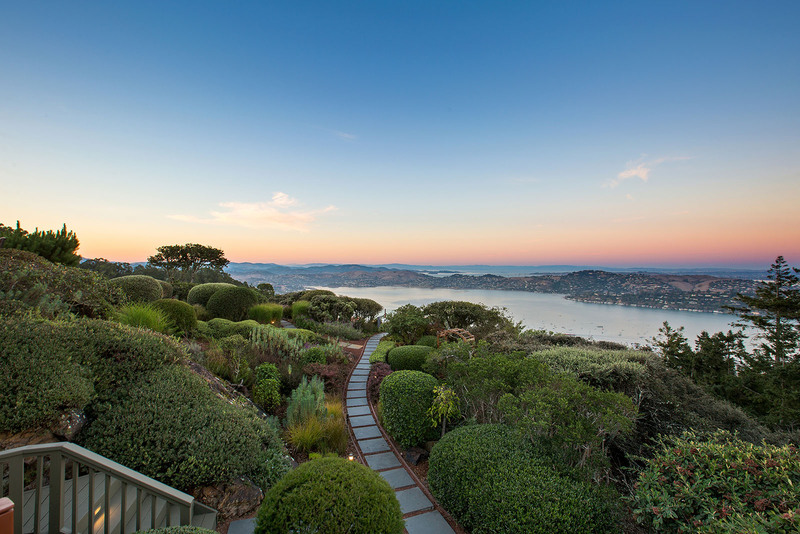 41067 Sqft raw lot just sold for $8,062,500 at 55 Wolfback Rd. 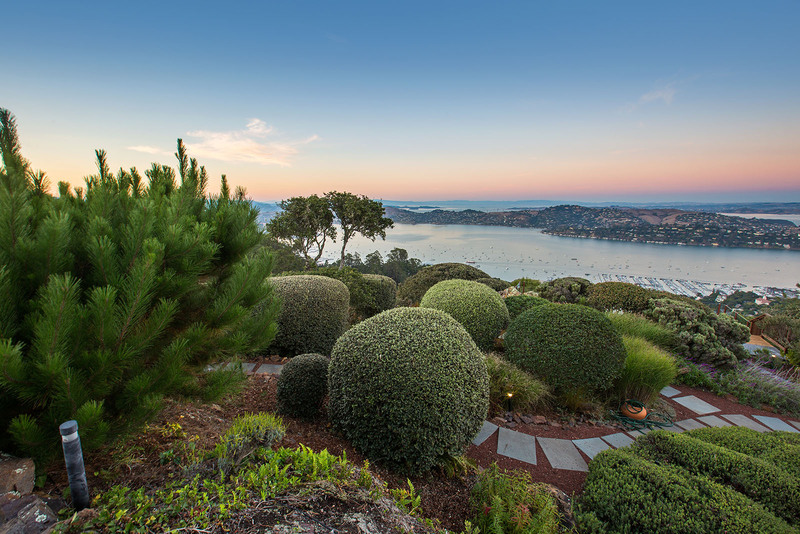 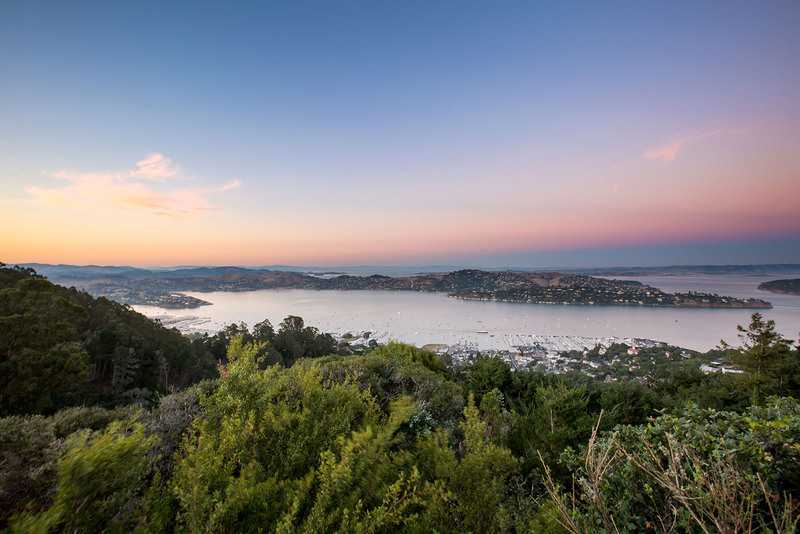 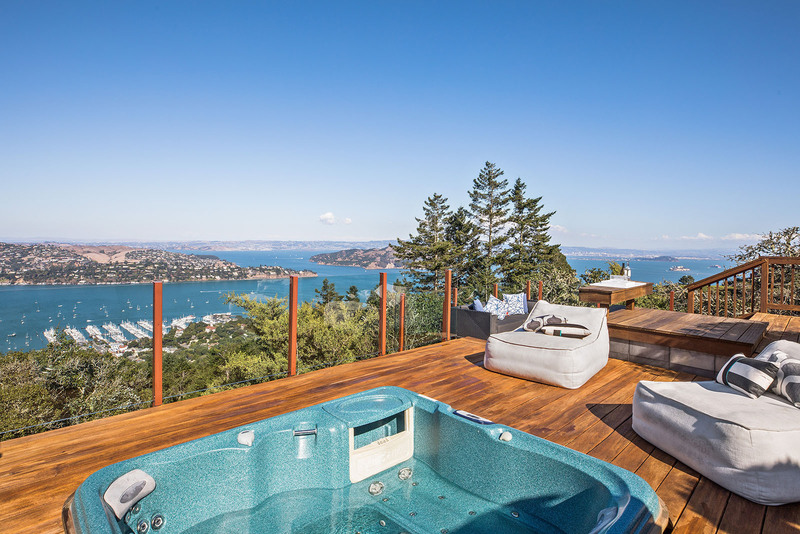 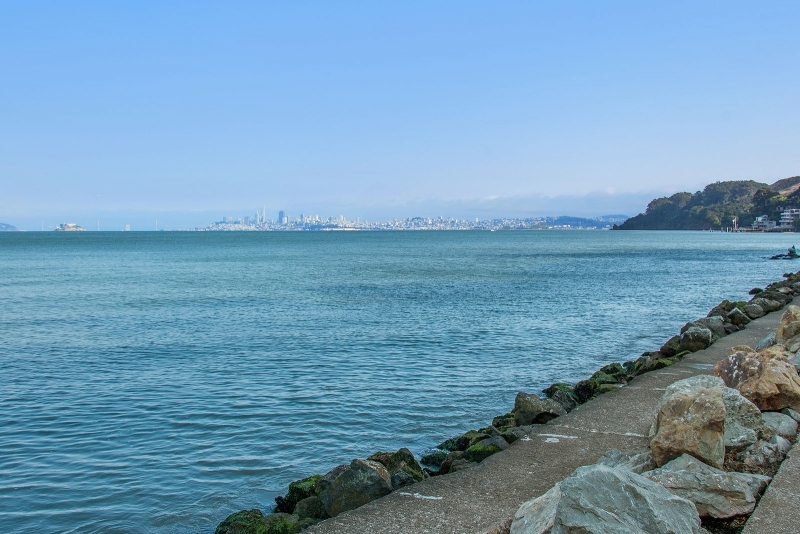 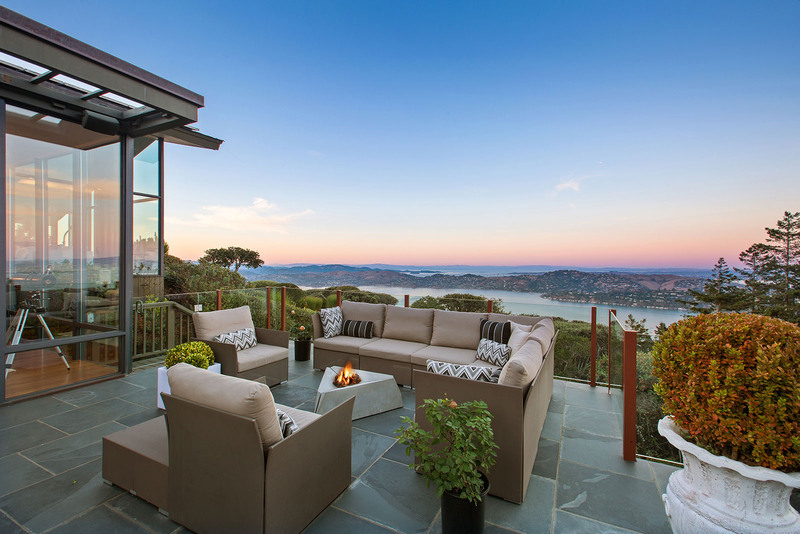 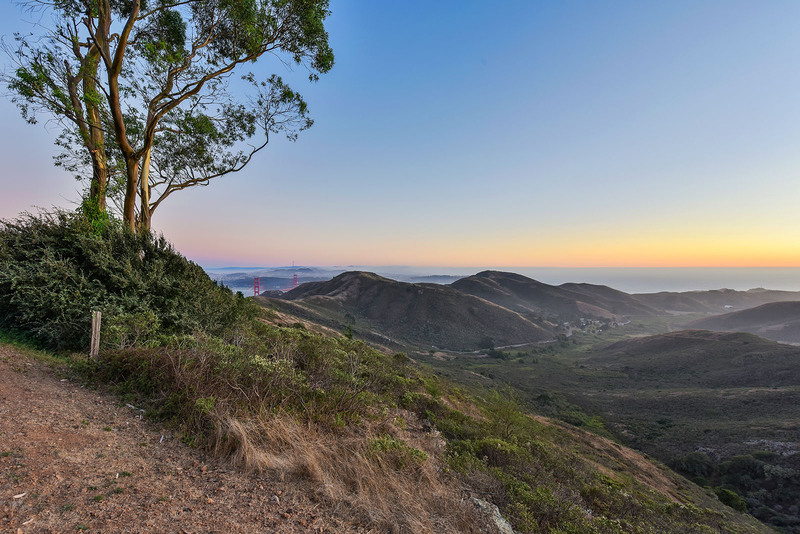 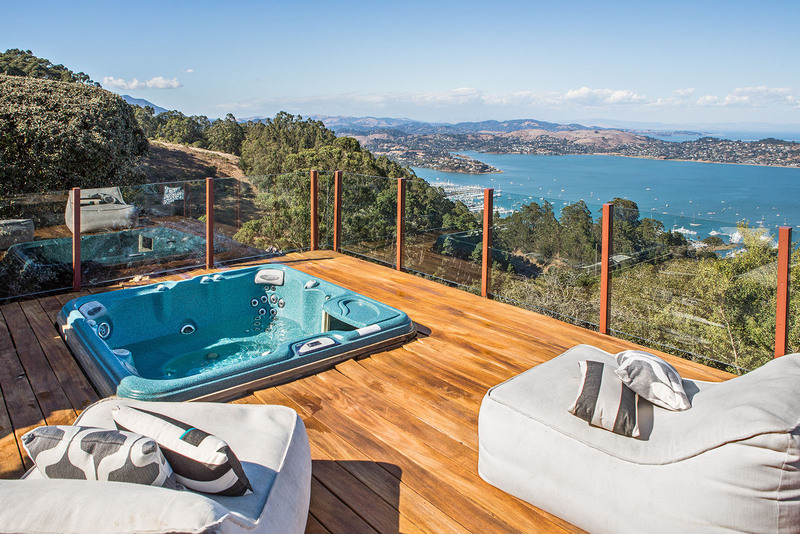 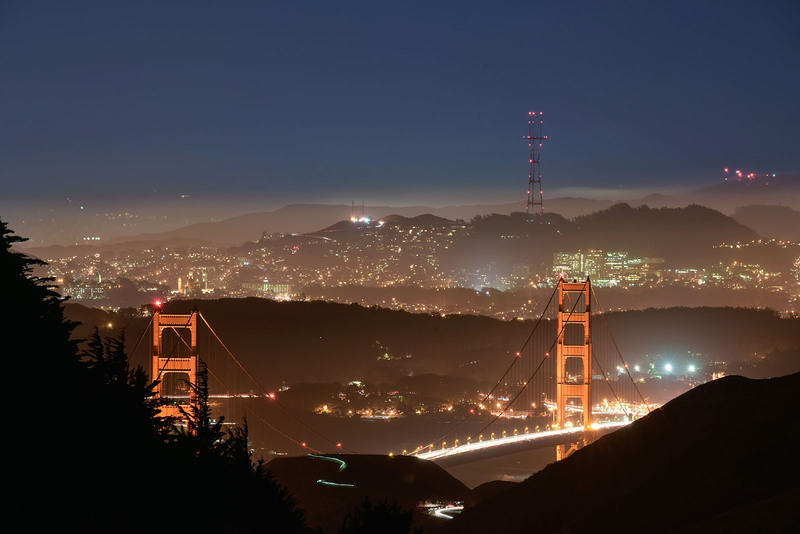 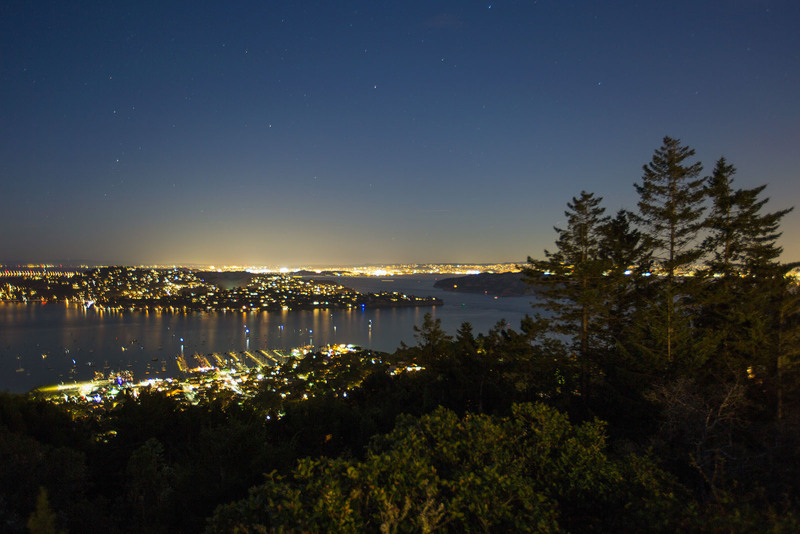 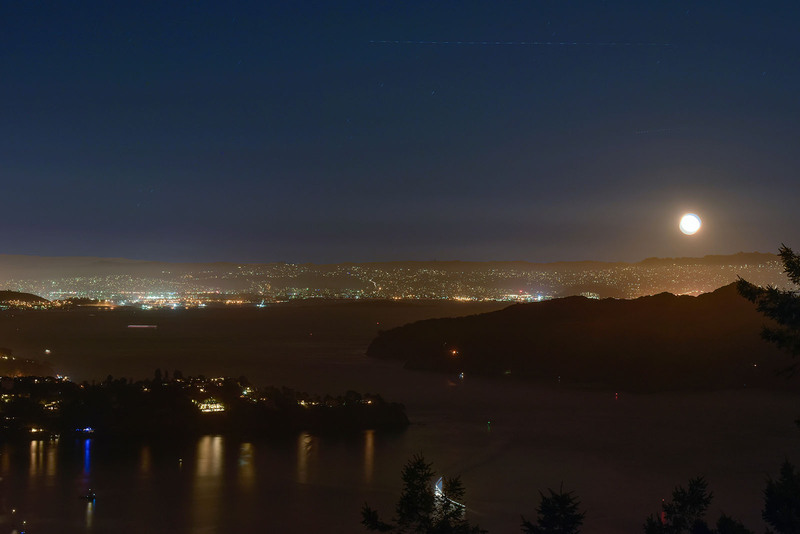 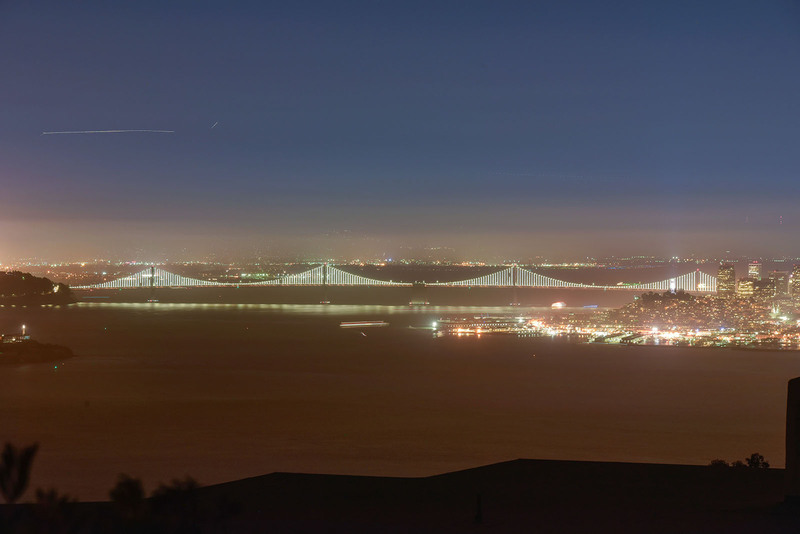 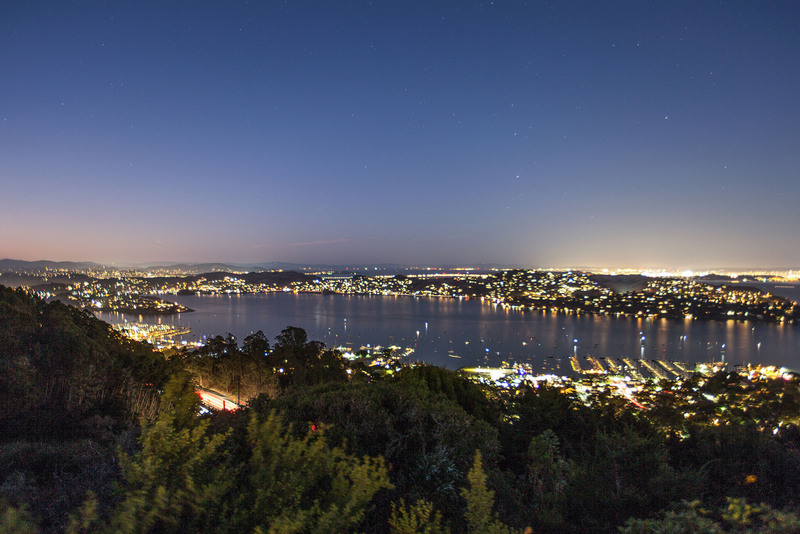 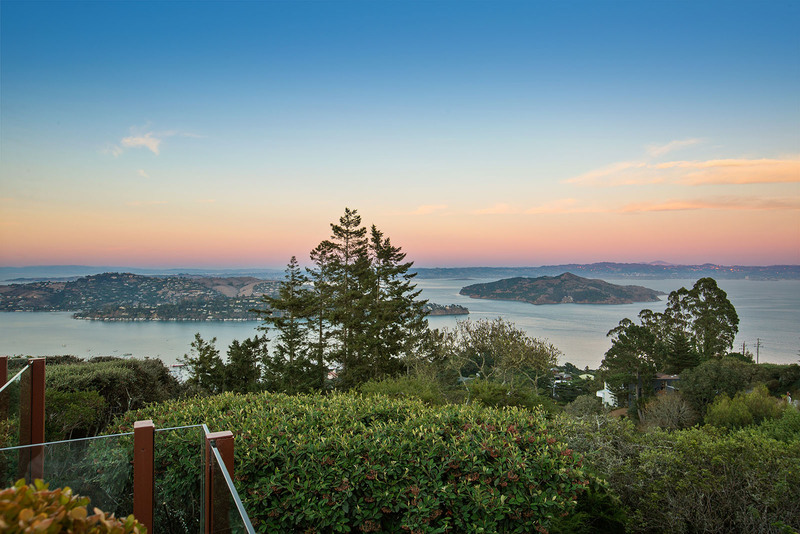 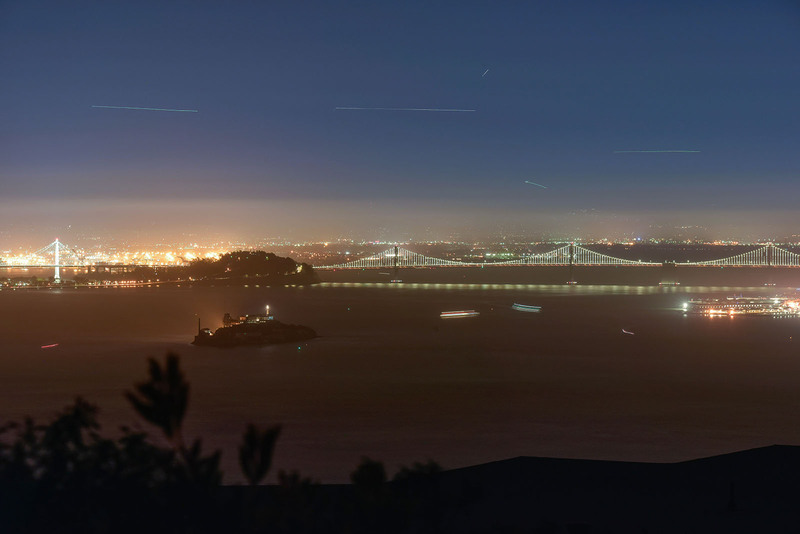 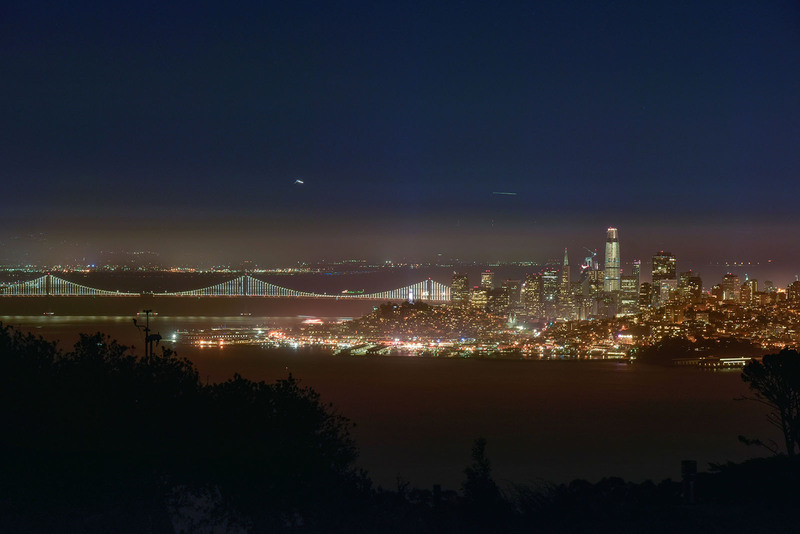 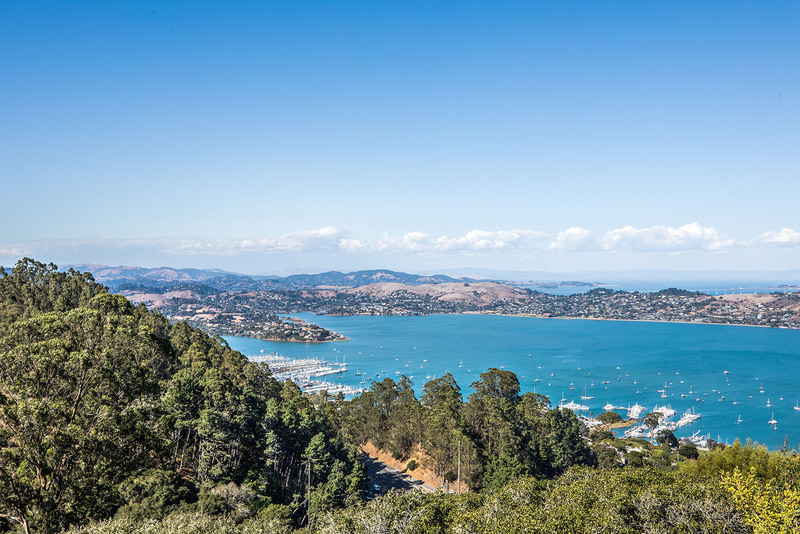 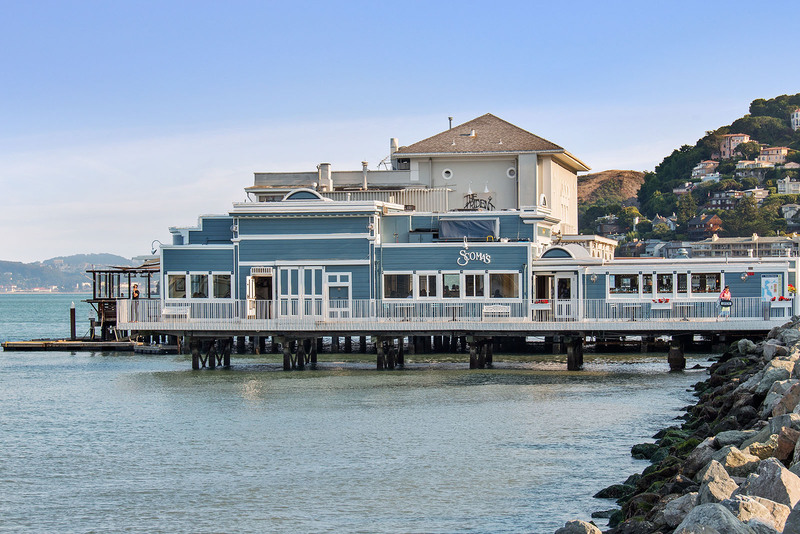 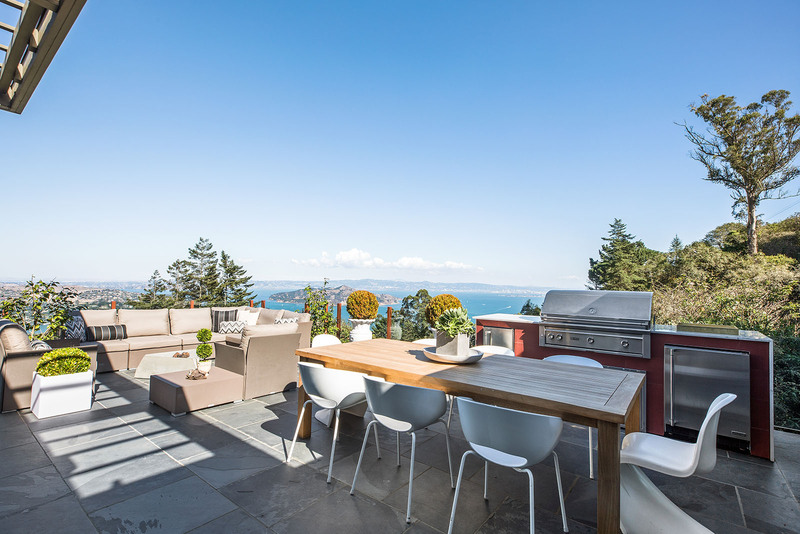 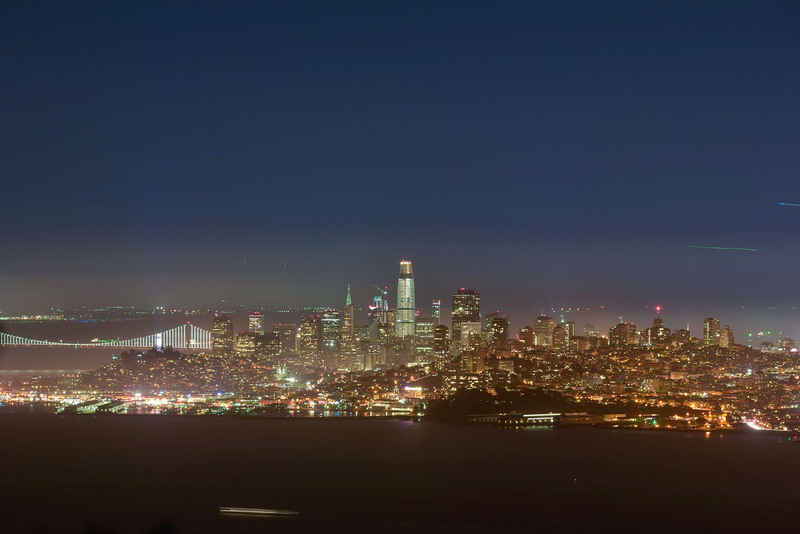 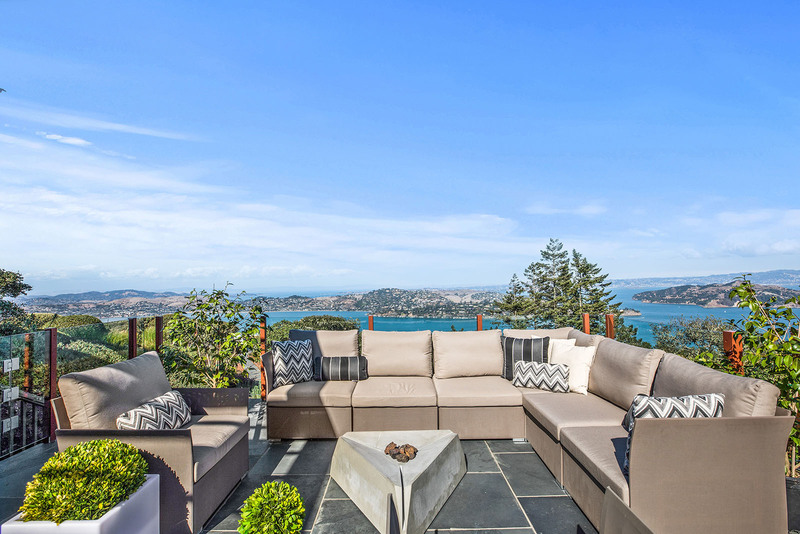 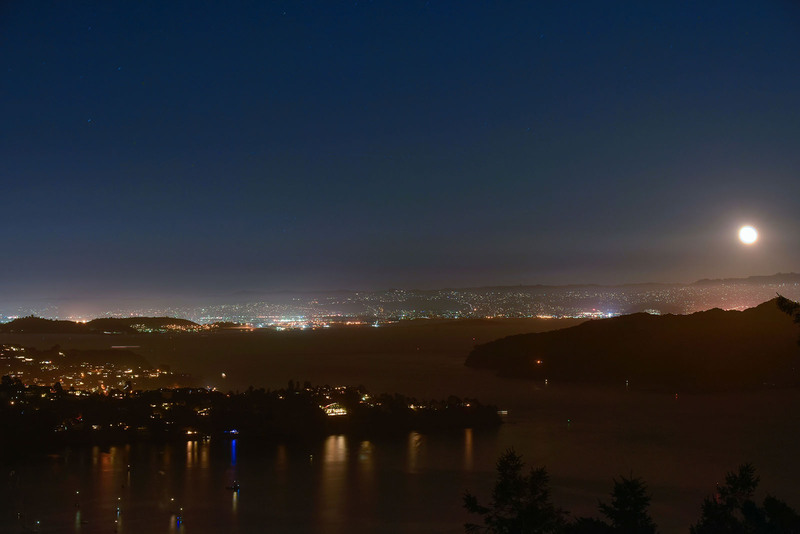 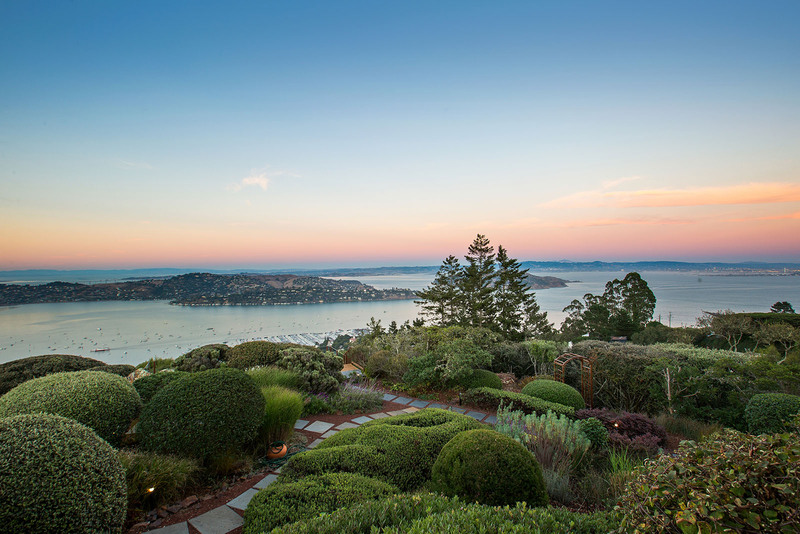 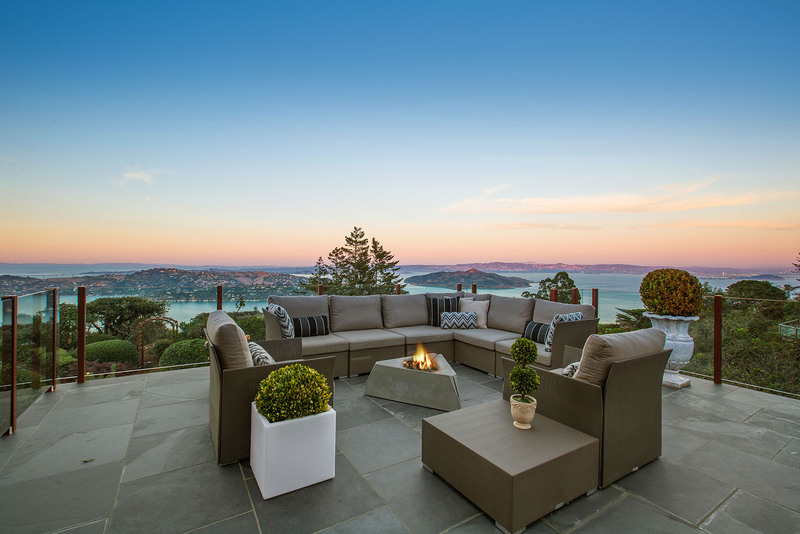 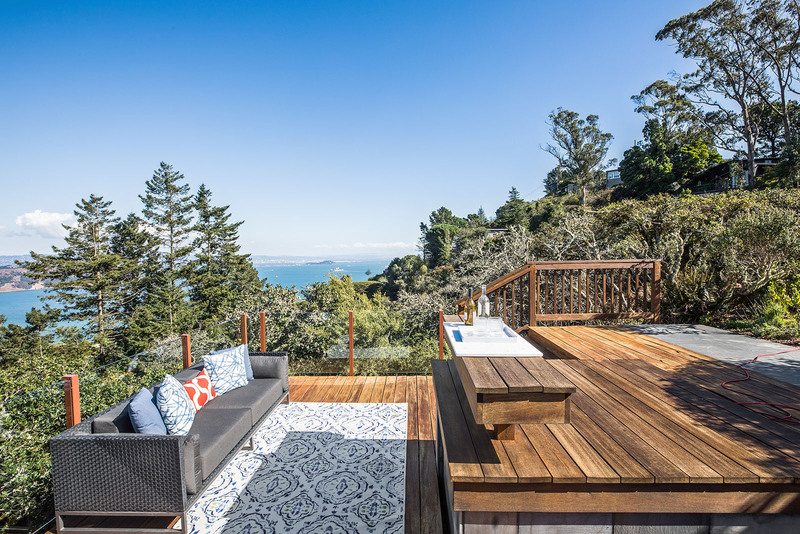 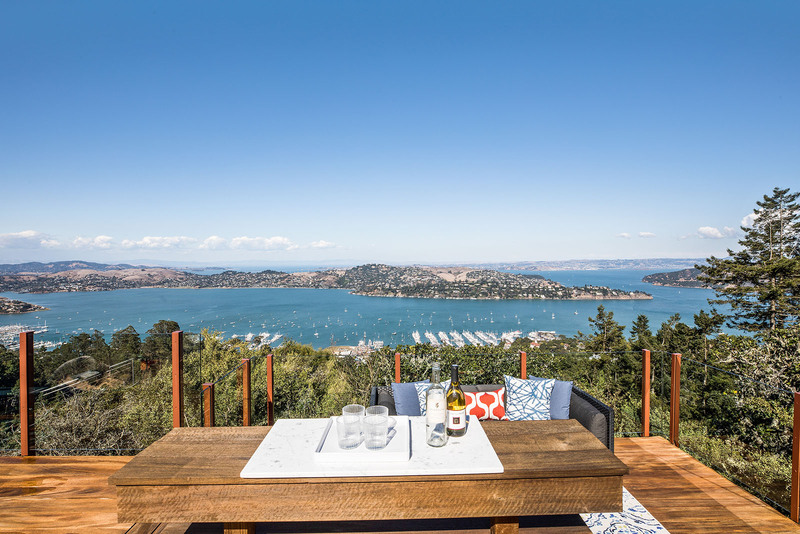 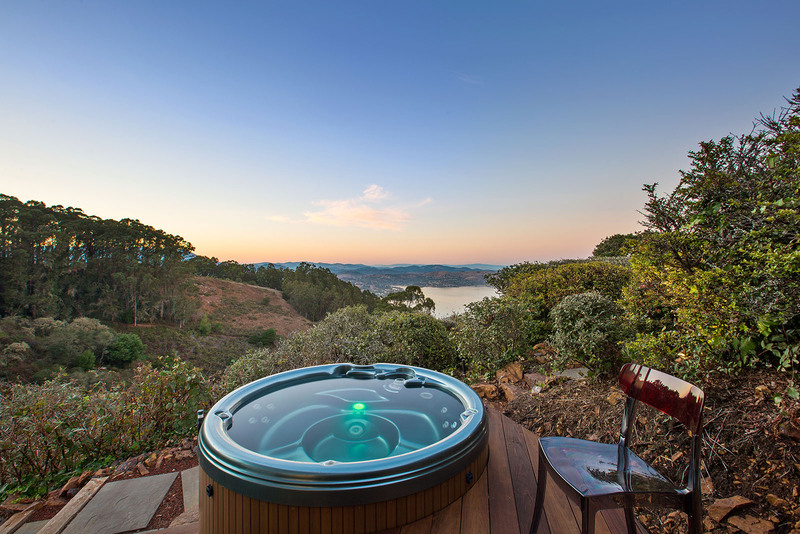 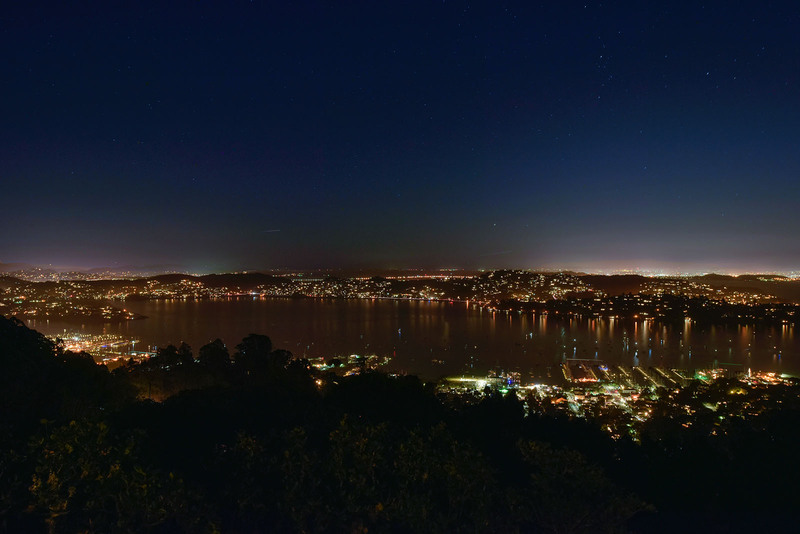 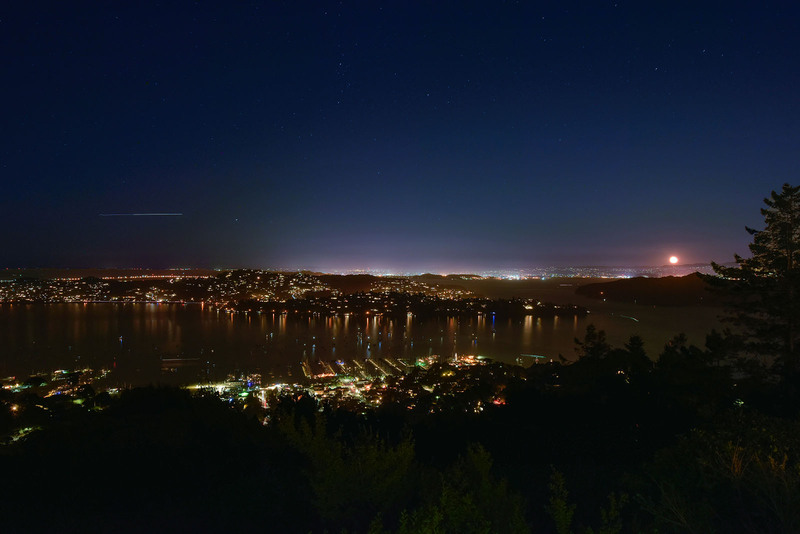 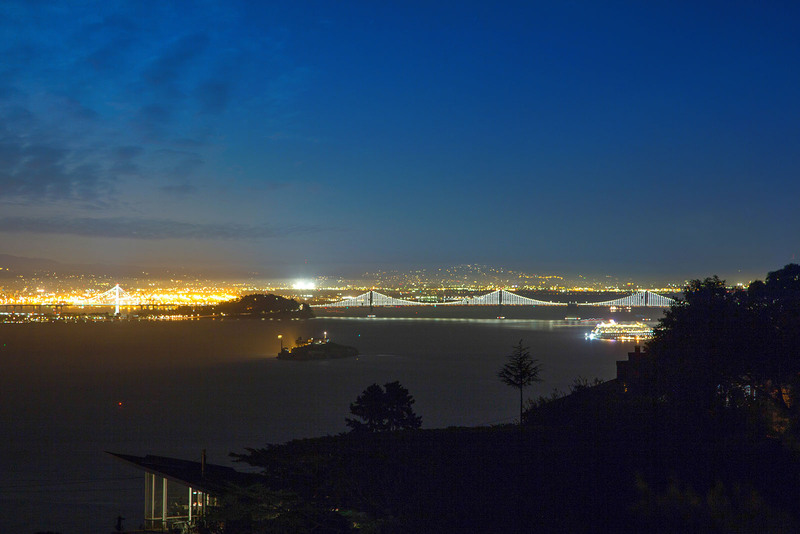 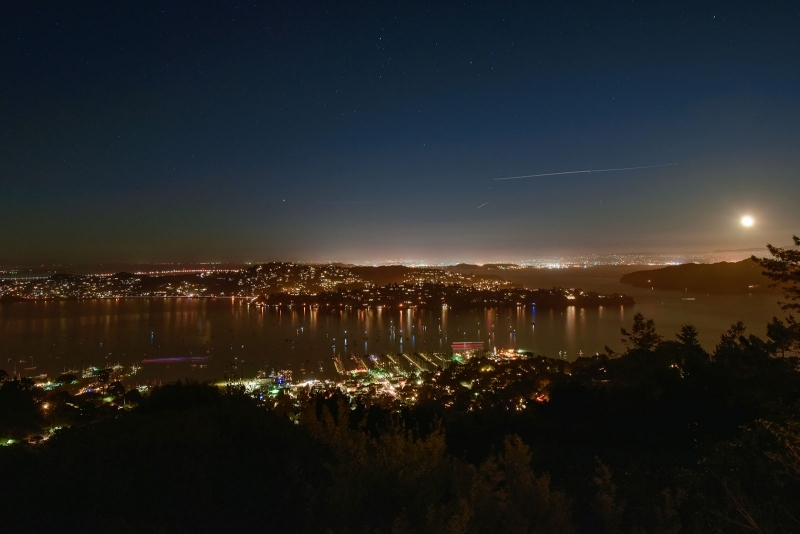 Sausalito offers some the best views of San Francisco that Marin County has to offer. 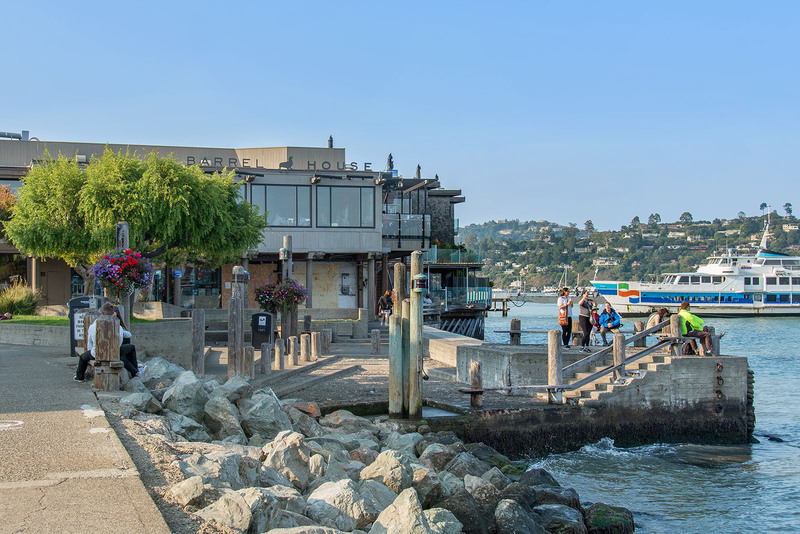 Stroll along the bayfront promenade on a weekend, and you'll hear the languages of visitors who come to Sausalito from all over the world. 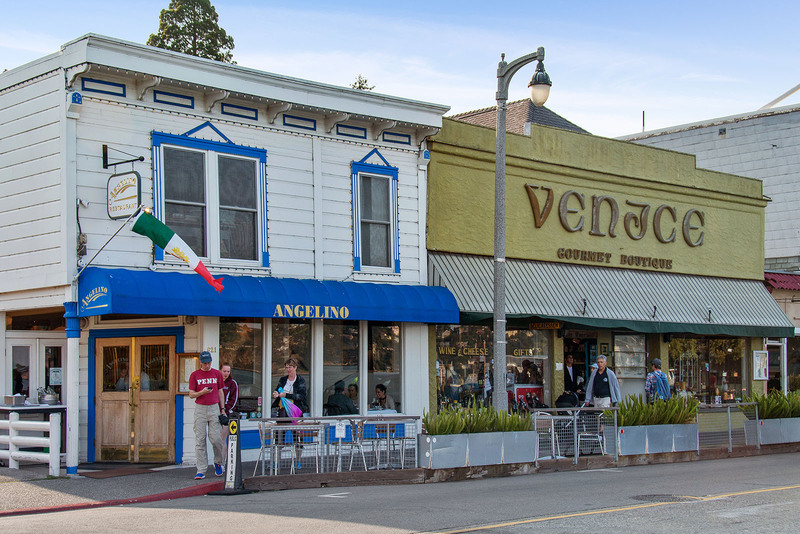 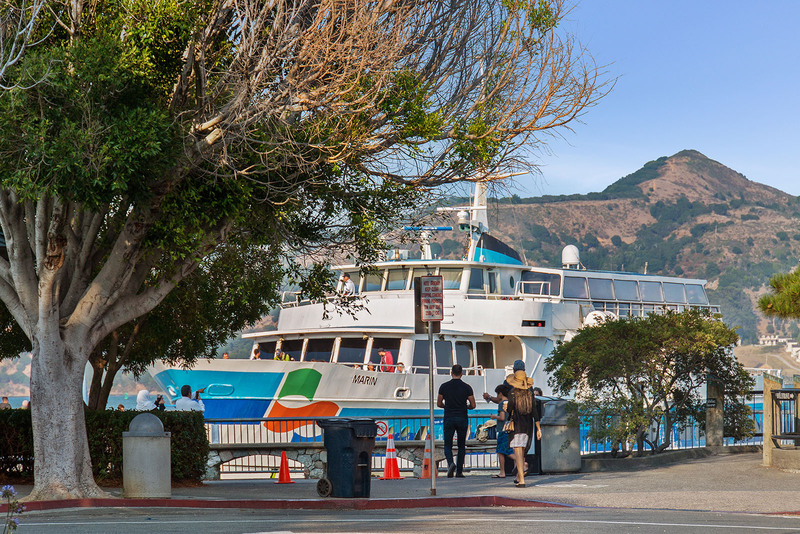 Tourists come for the Sausalito Art Festival, its hidden walks, its funky houseboat colonies, its seafood, and unforgettable views. 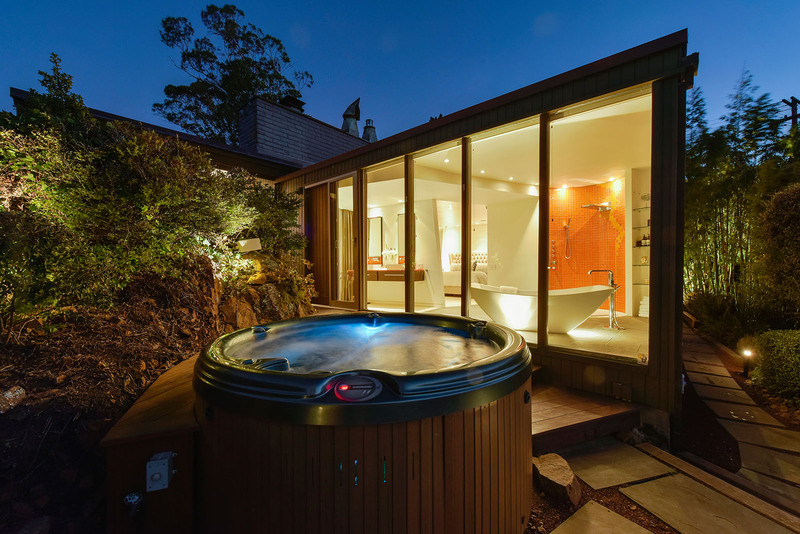 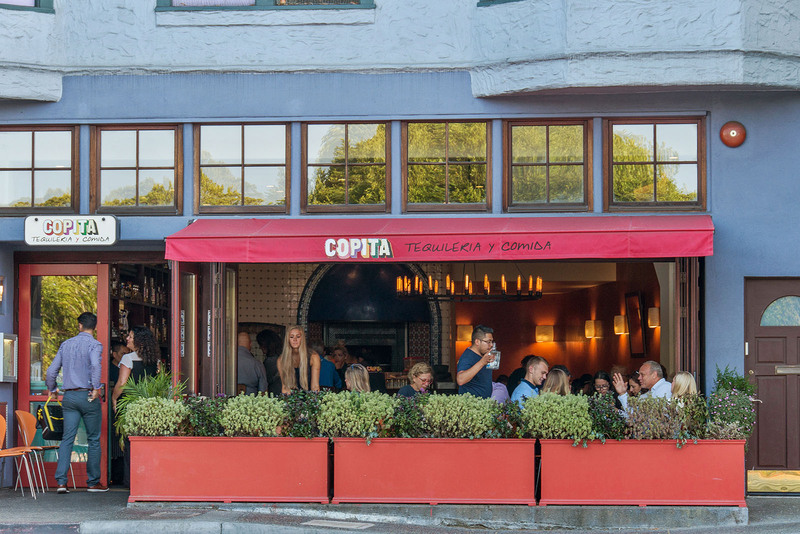 But come during a weekday, and you'll likely have it all to yourself. 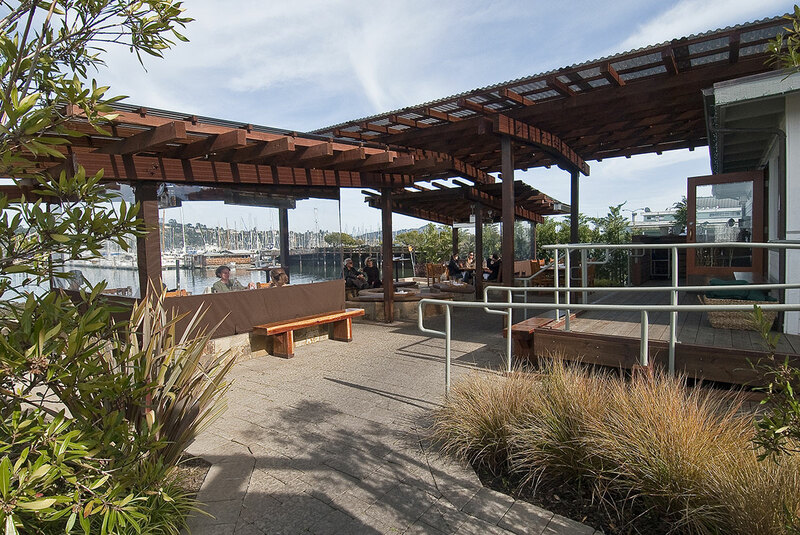 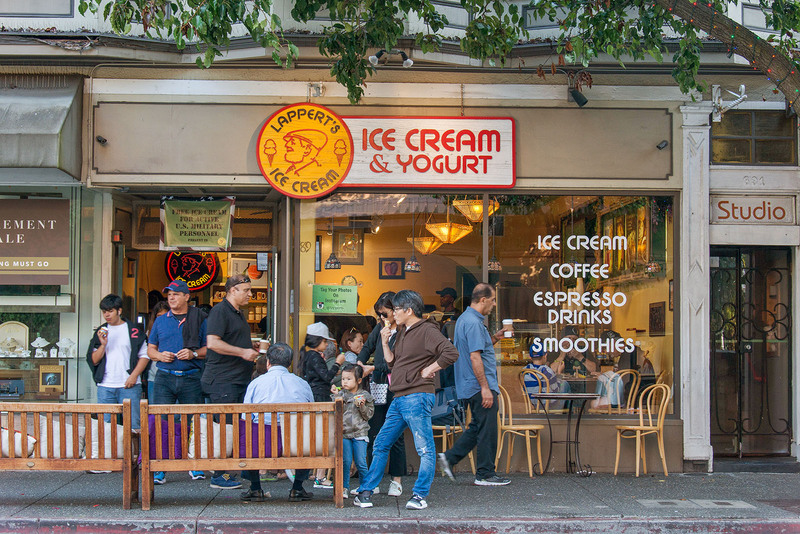 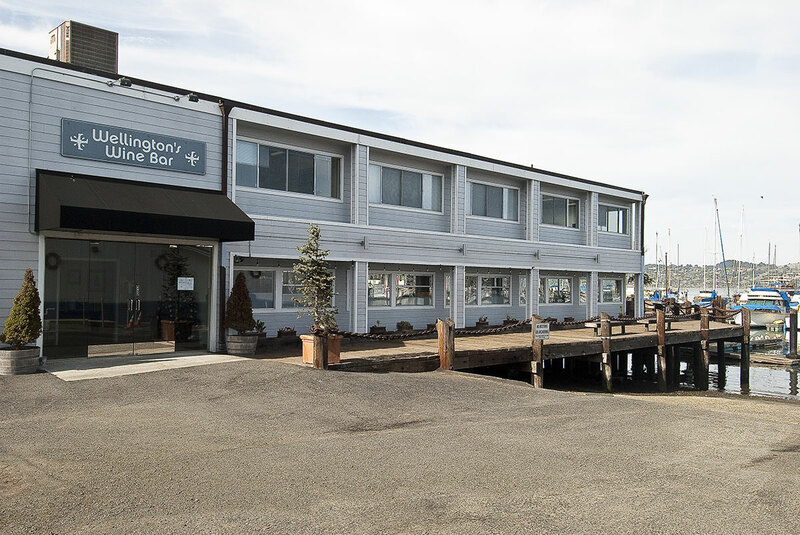 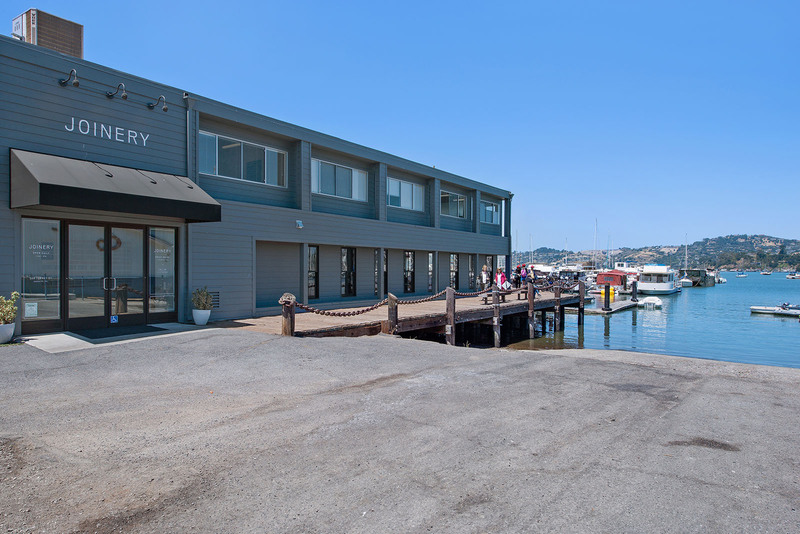 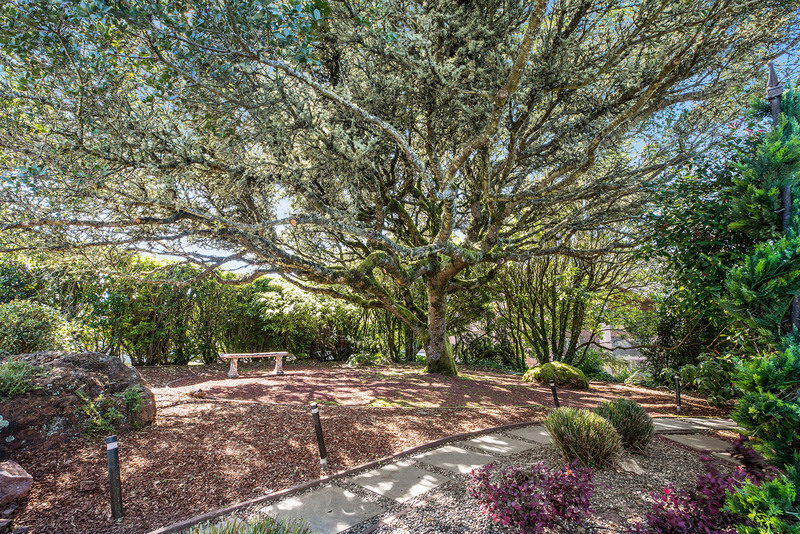 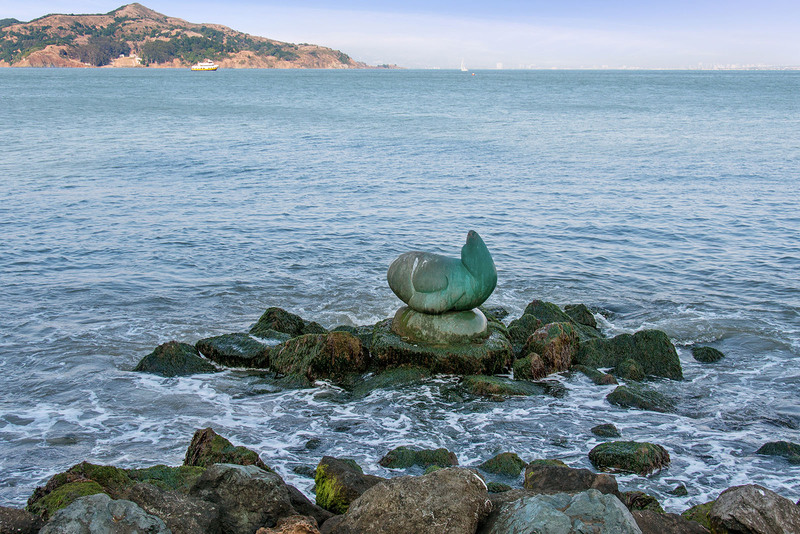 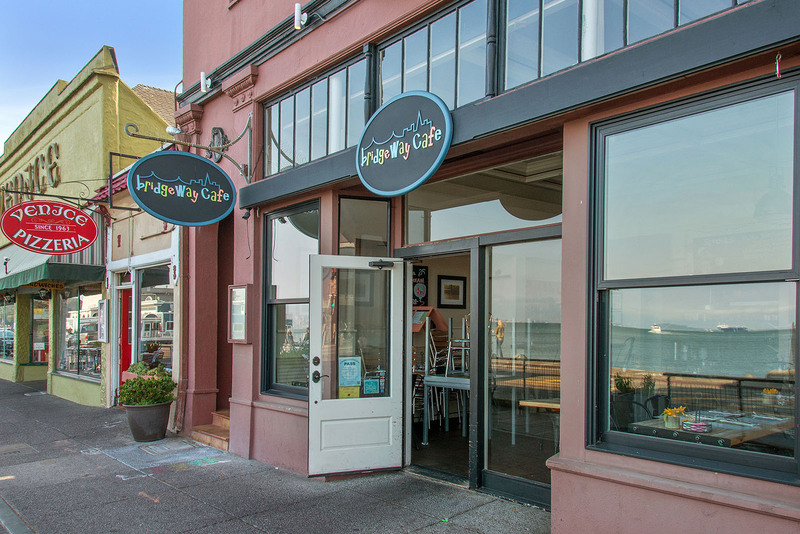 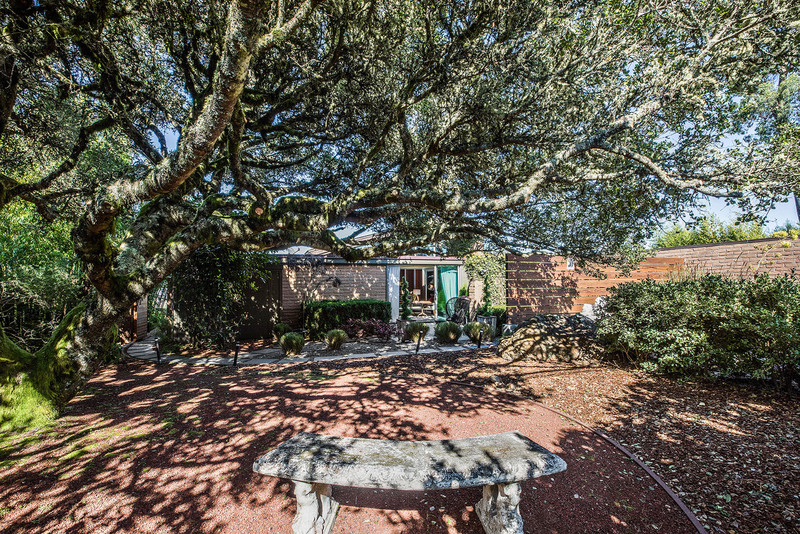 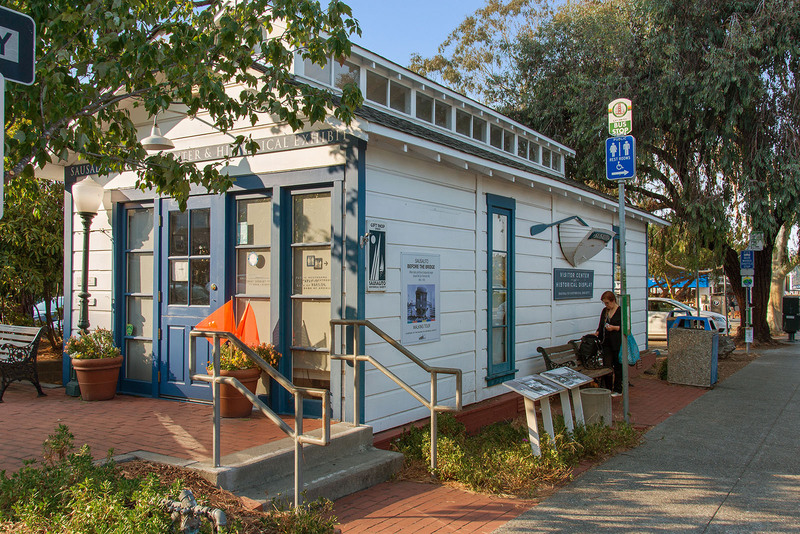 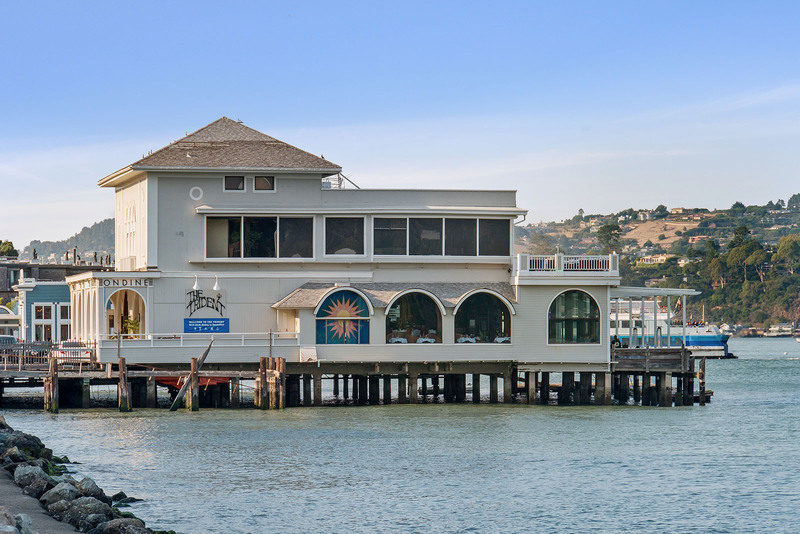 Sausalito’s Bridgeway is home to pleasant Dunphy Park, while the local library and Studio 333, a warehouse-sized art gallery, are a few blocks away. 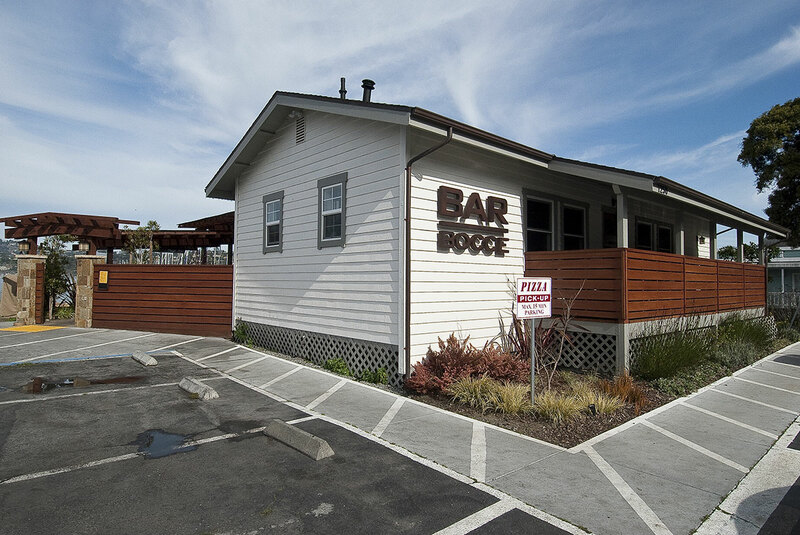 Food runs the gamut from Sushi Ran to Smitty's Bar -- where the bartender knows you your name and the kitchen serves up a delicious and unpretentious cheeseburger and fries. 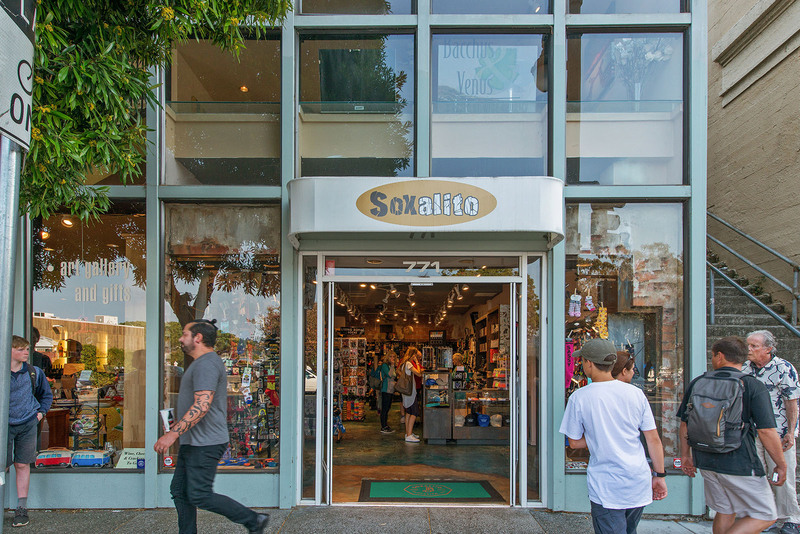 Increasingly, Sausalito is home to new media and green-tech entrepreneurs who have traded in the Silicon Valley commute for a walk to headquarters along the Waterfront and Marinship District. 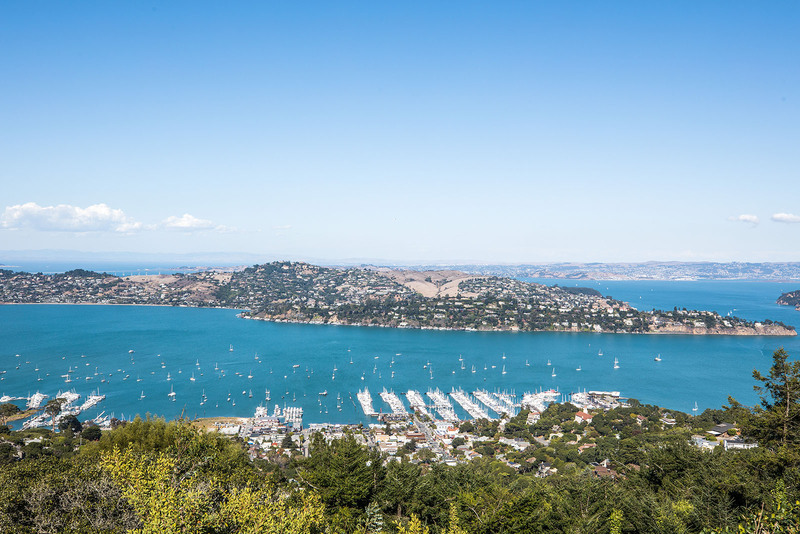 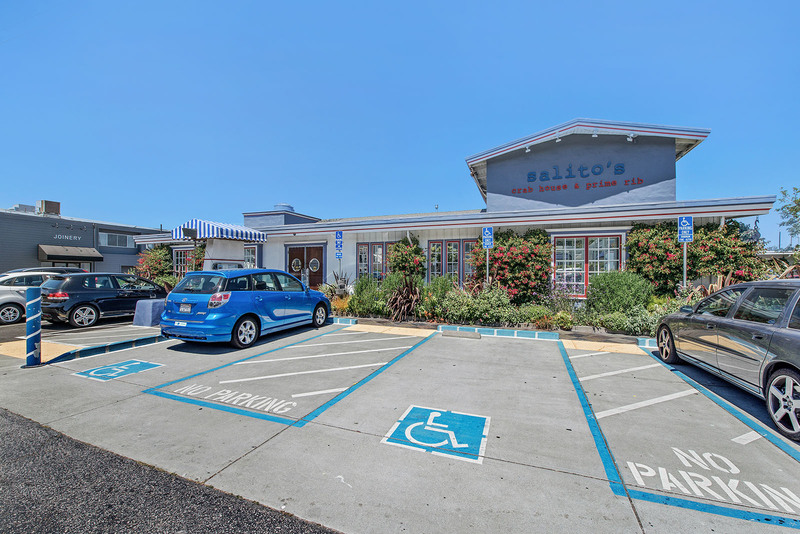 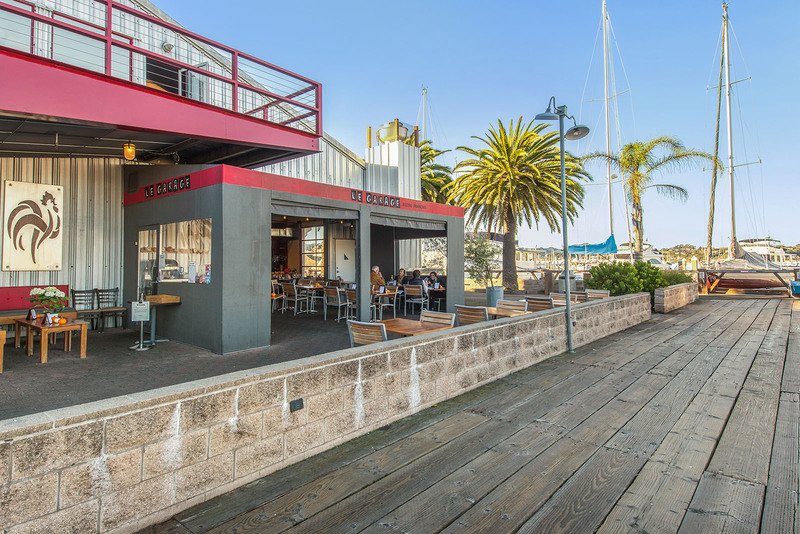 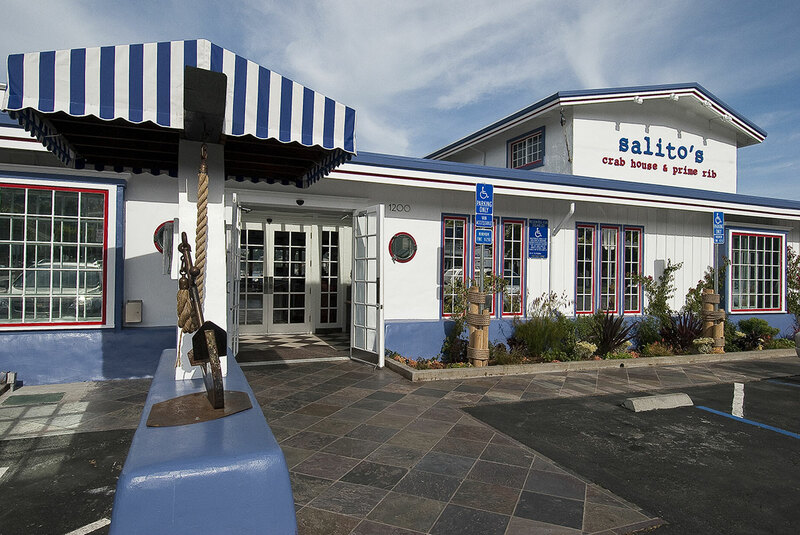 Located just north of the Golden Gate Bridge, Sausalito boasts quick access to San Francisco by car, bus, ferry, or bike.